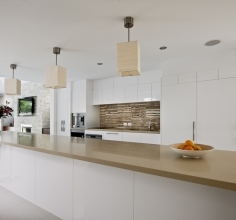 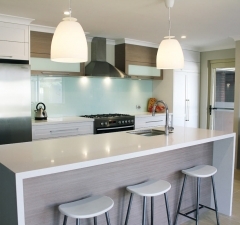 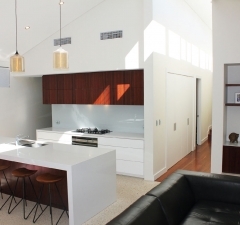 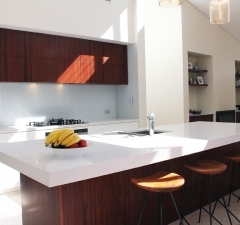 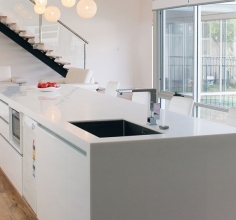 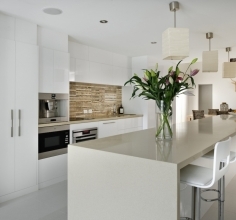 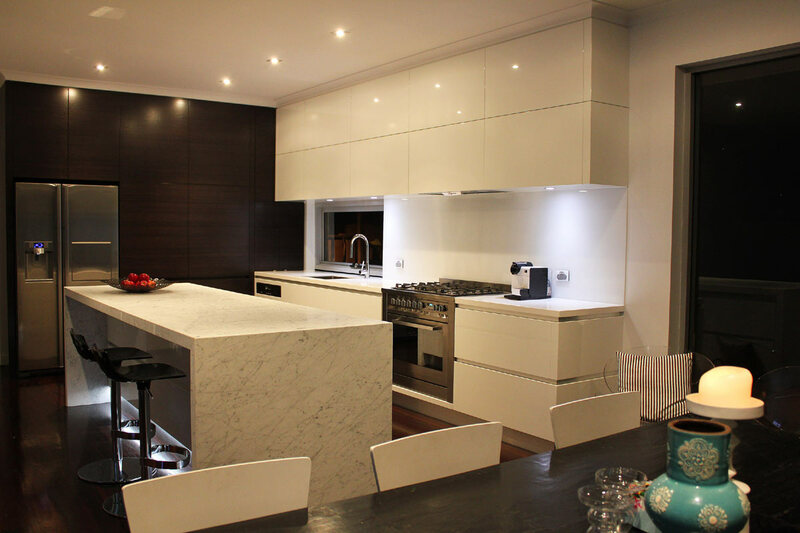 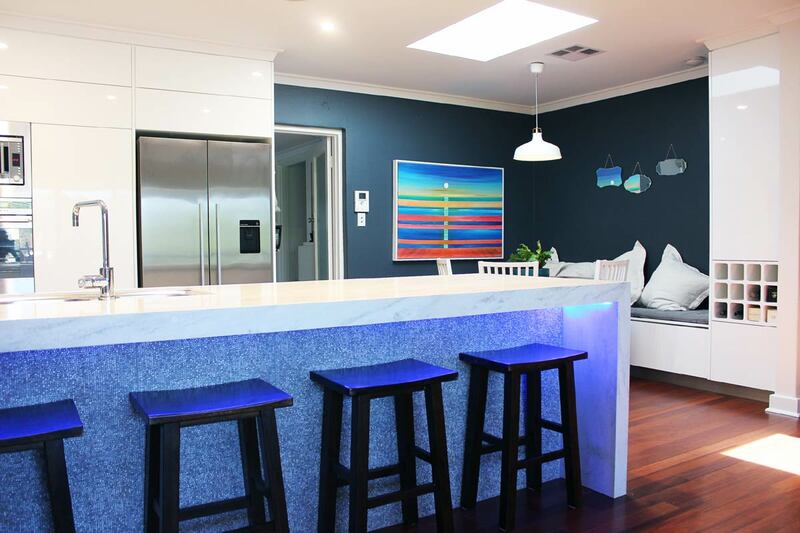 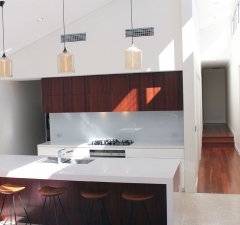 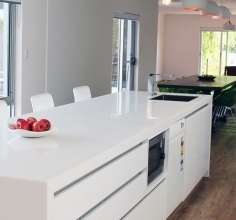 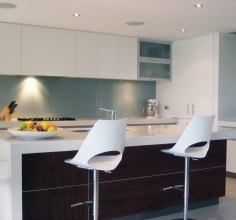 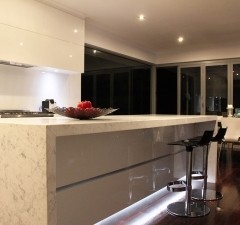 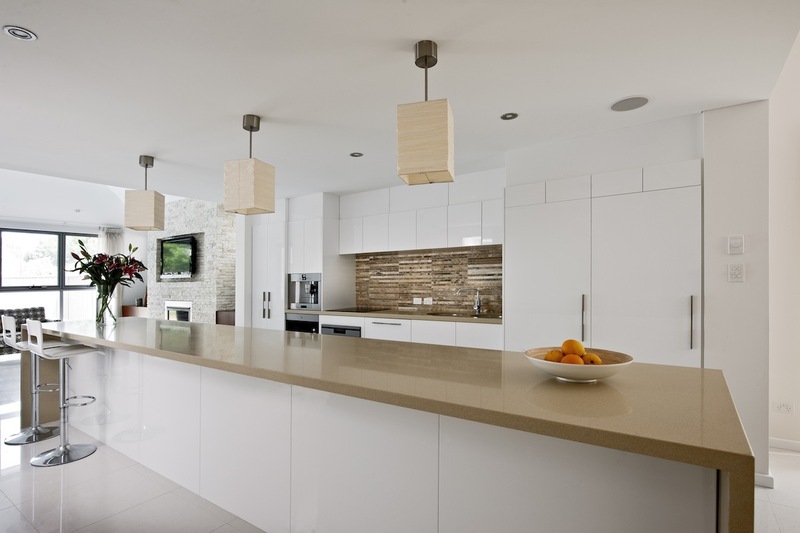 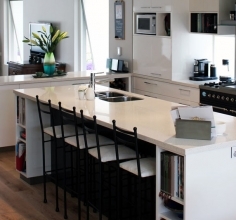 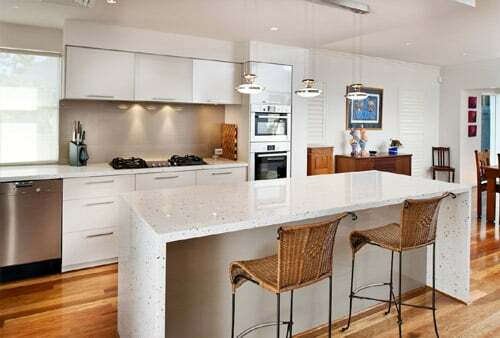 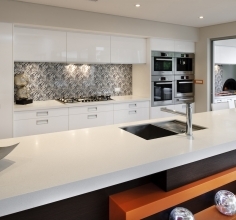 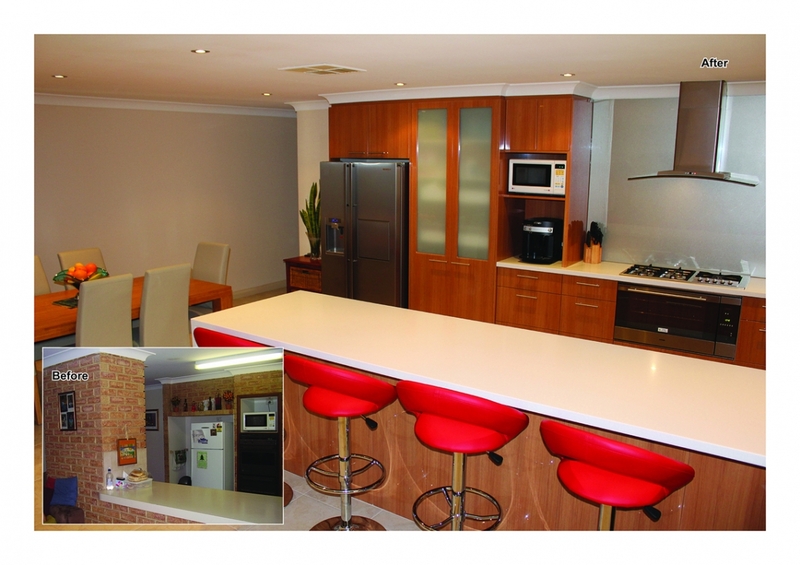 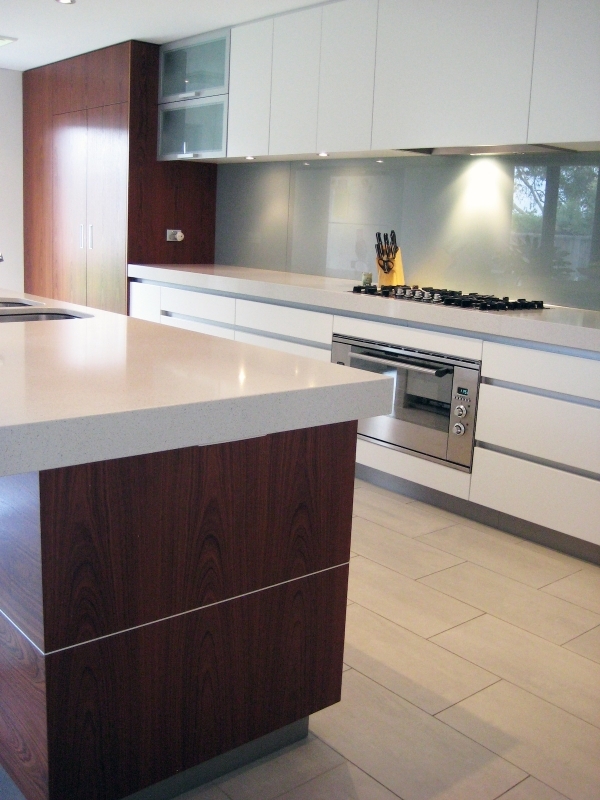 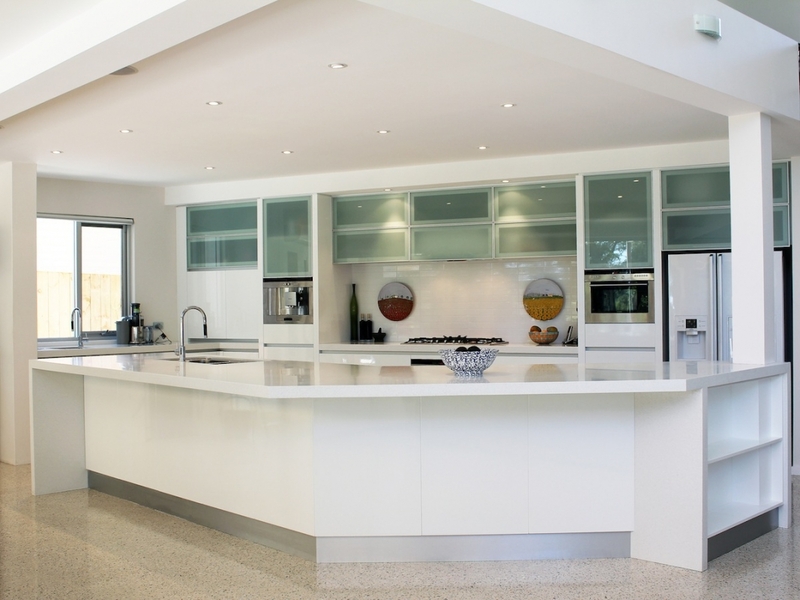 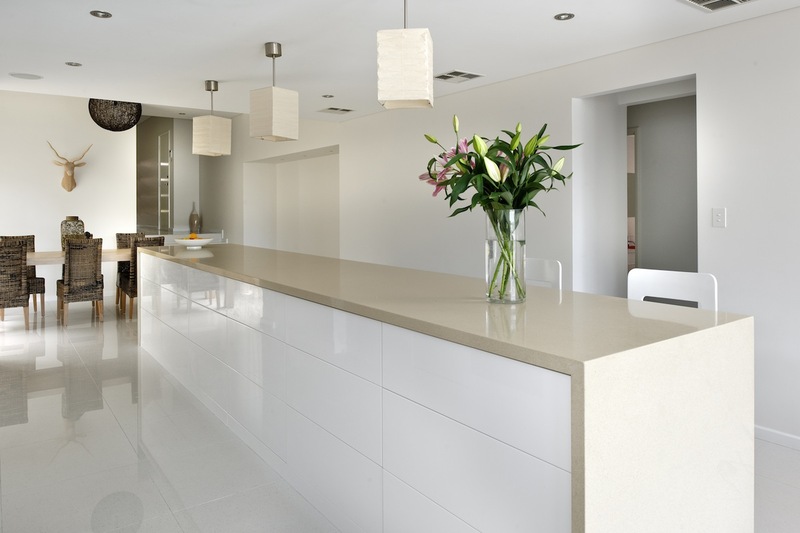 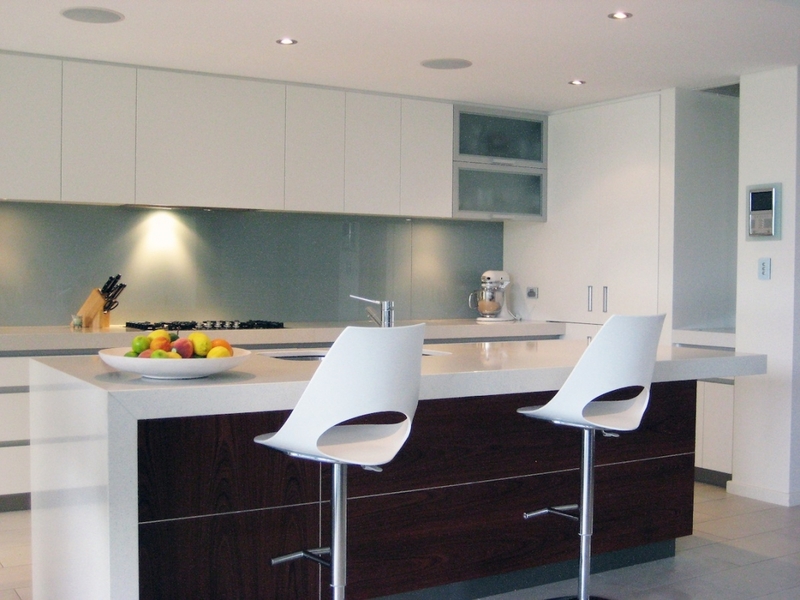 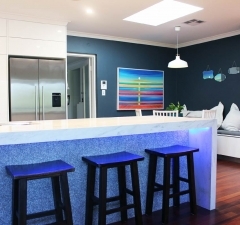 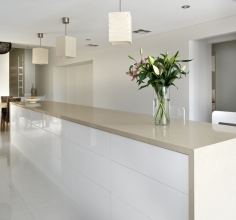 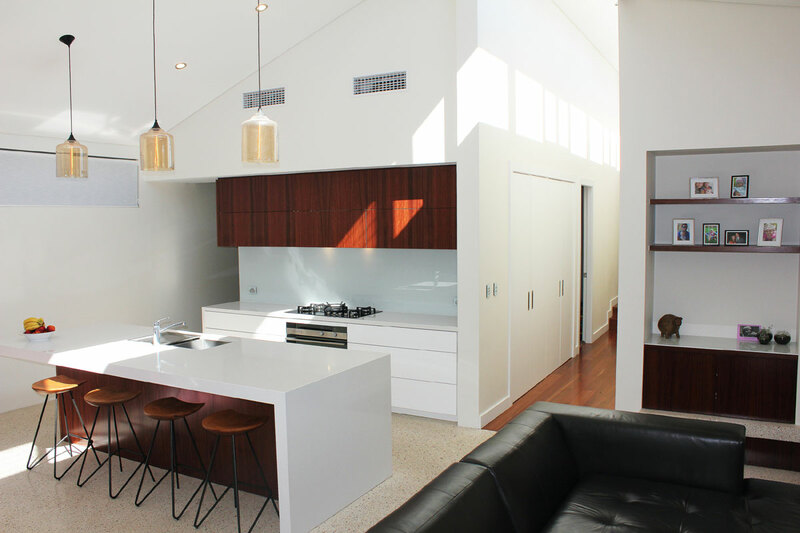 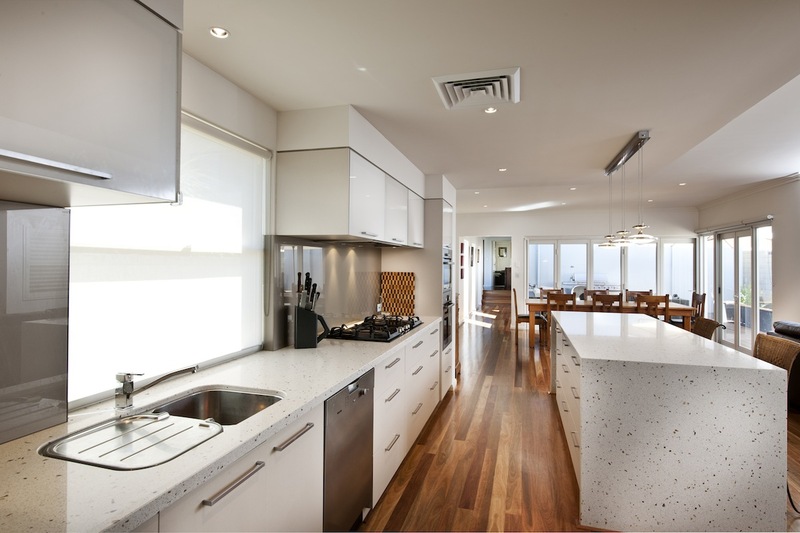 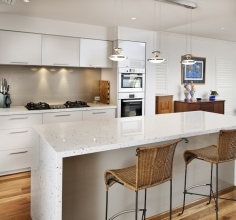 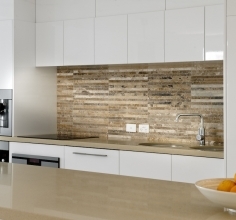 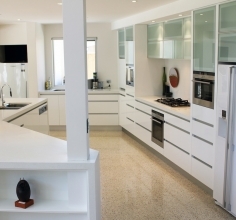 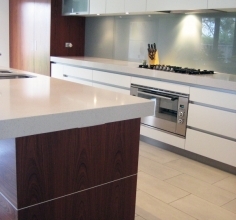 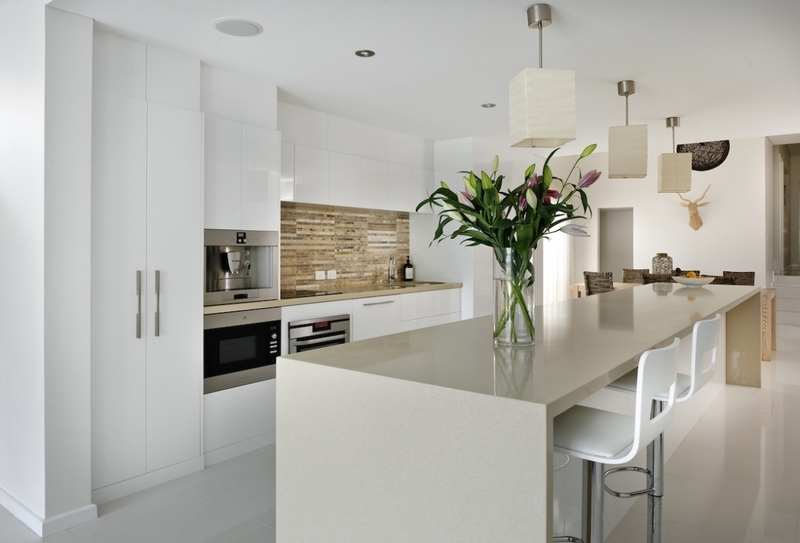 We have been designing, building and renovating kitchens in Perth for over a decade! 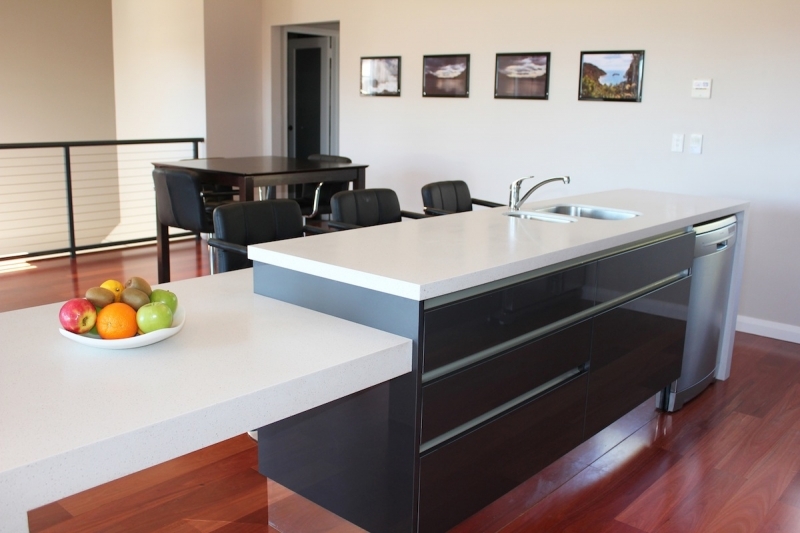 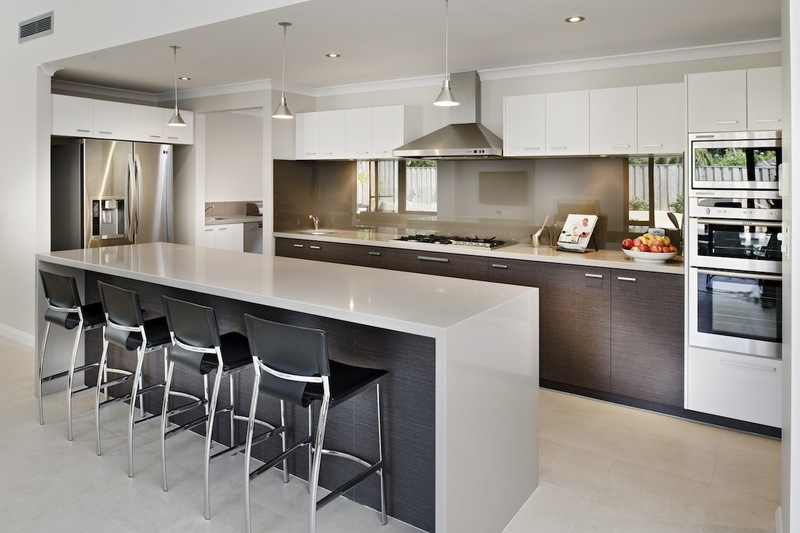 We can help you with kitchen design and installation. 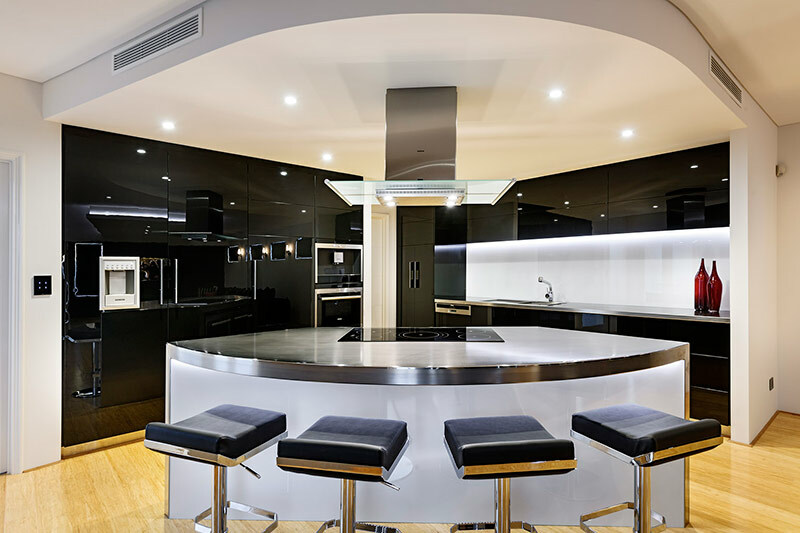 No matter what size or space you have we can come up with an innovative design that is functional yet encompasses that real ‘Wow’ factor. 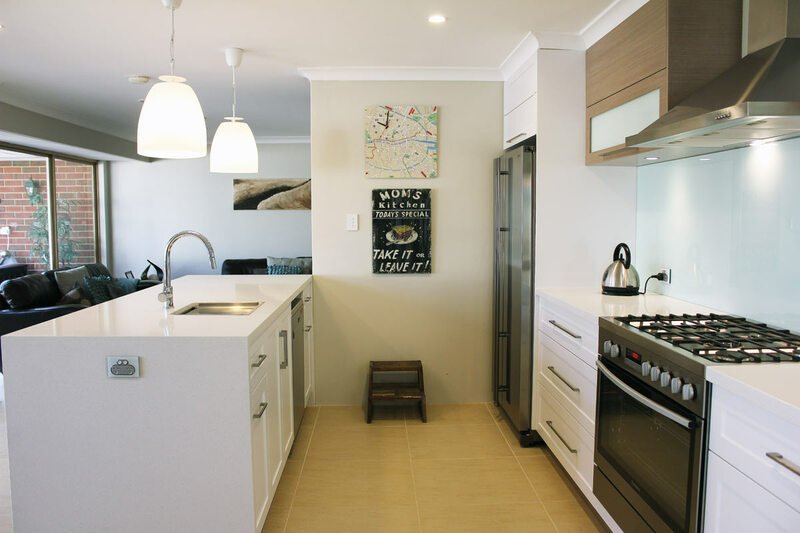 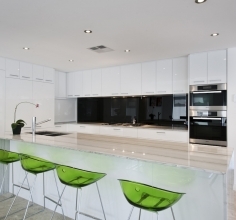 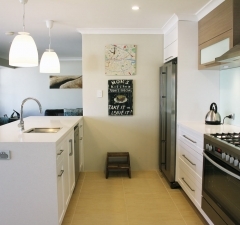 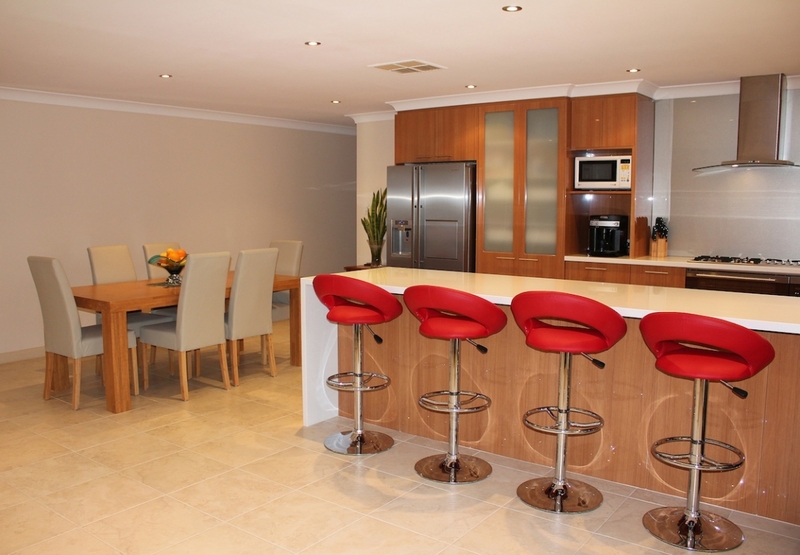 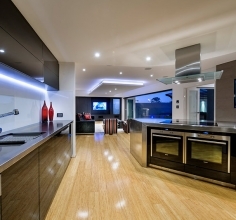 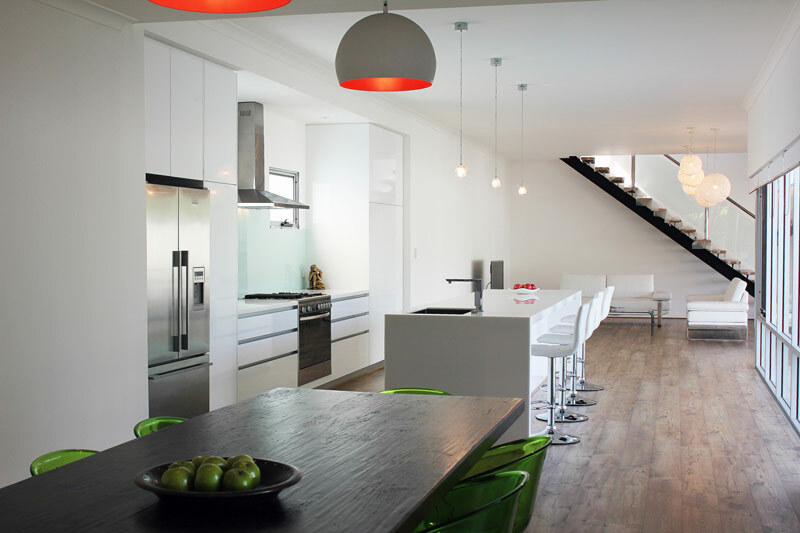 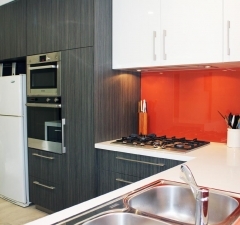 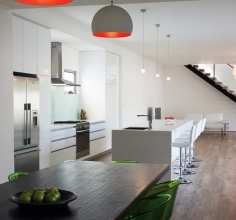 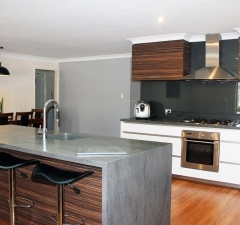 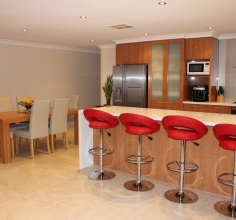 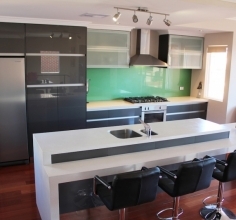 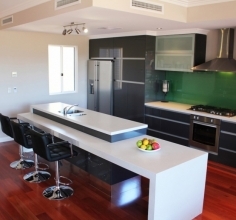 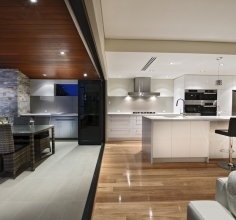 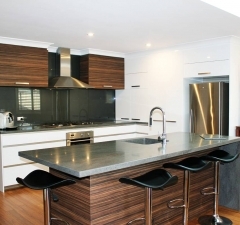 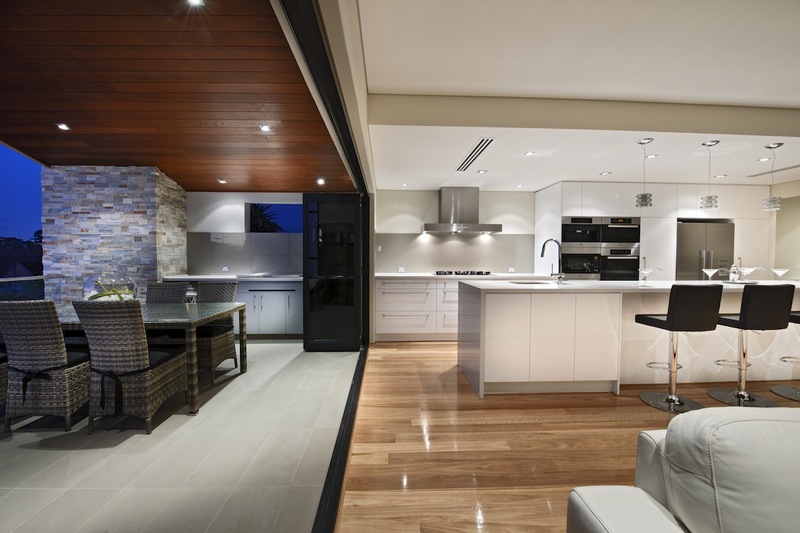 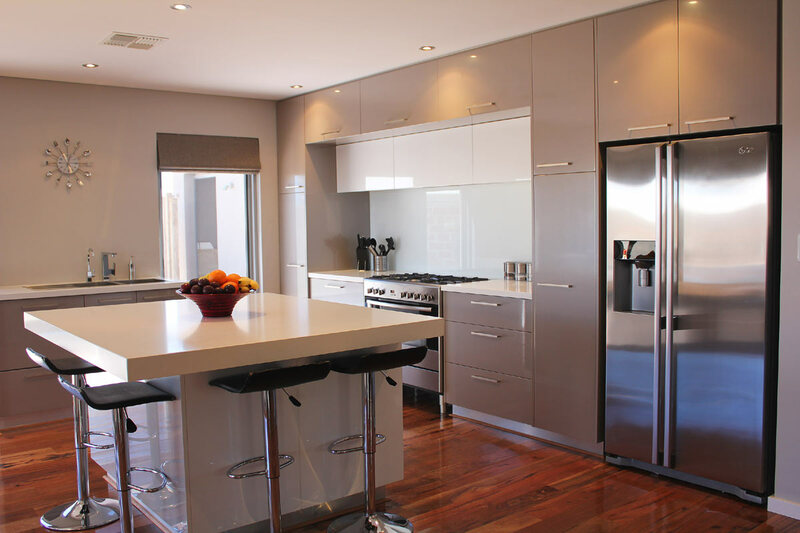 We are the masters of kitchens and that is why Perth homeowners simply love us! 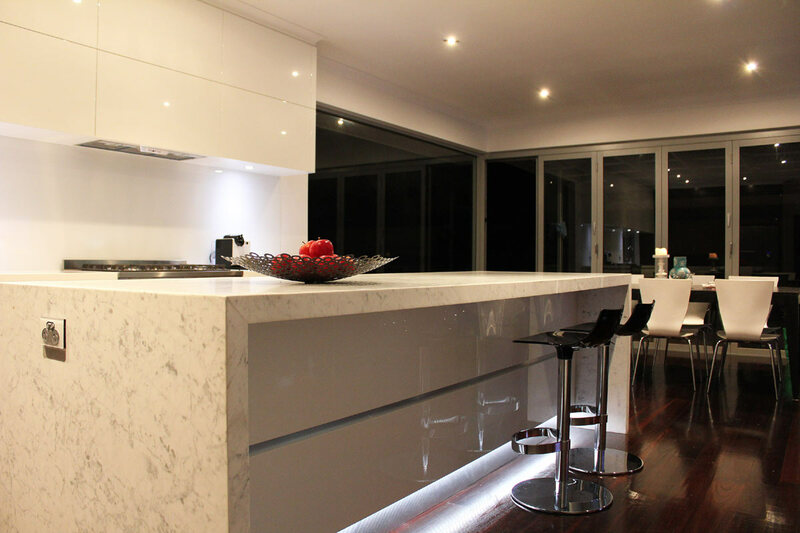 And it is this love that drives us and inspires us go that extra mile for you. 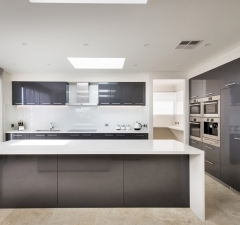 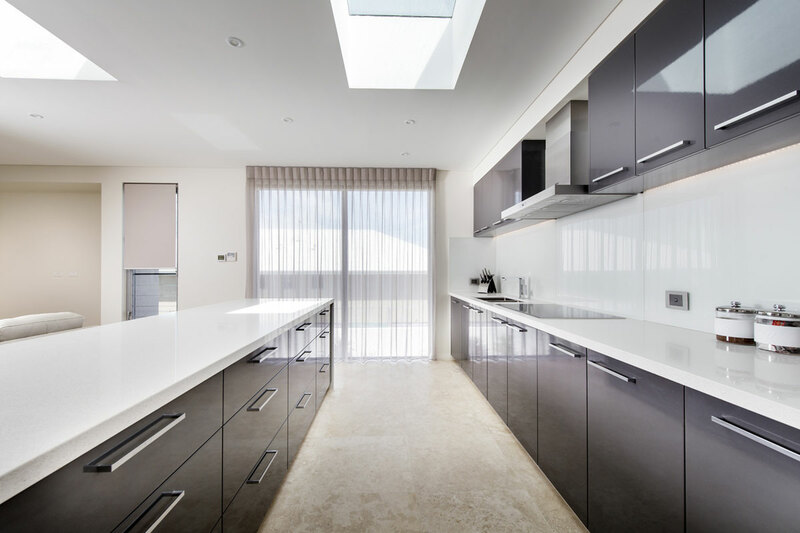 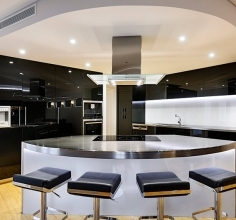 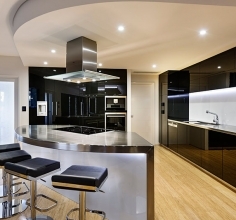 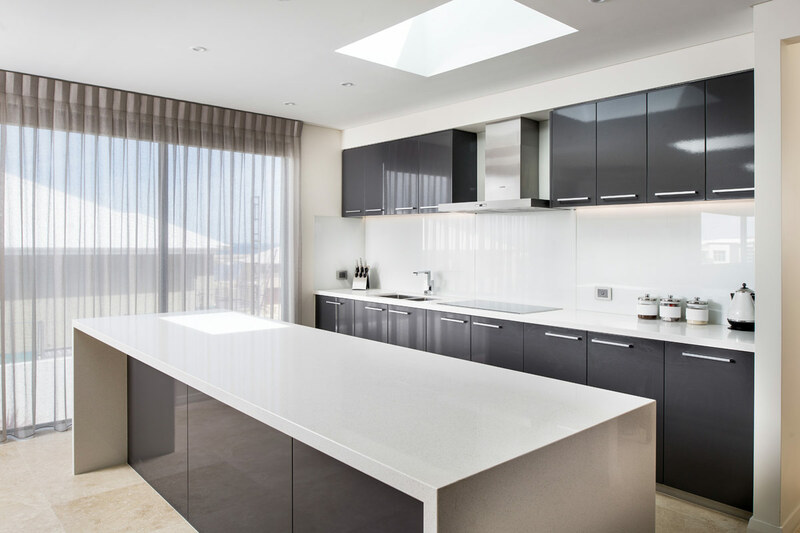 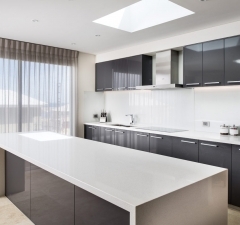 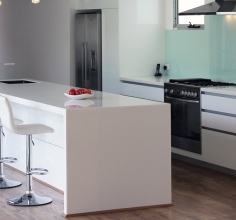 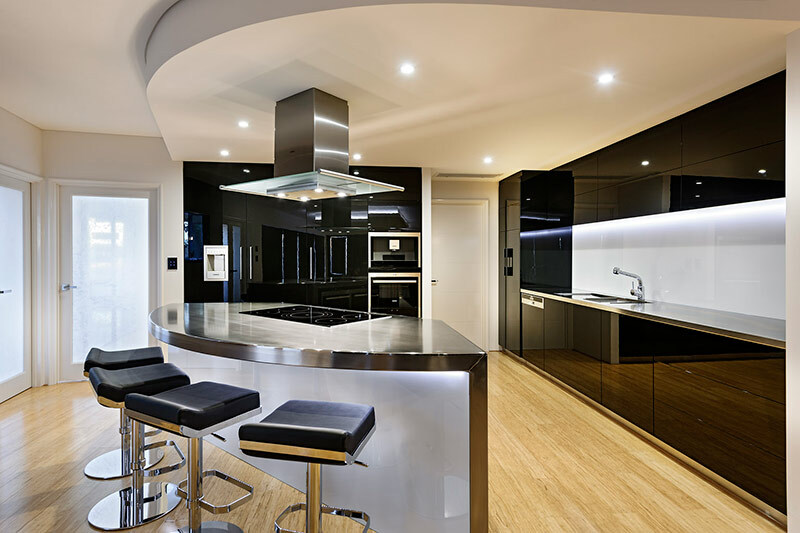 As winners of many awards for our kitchen designs, you can be sure of top results when engaging us to design, manufacture and install a kitchen in your home. 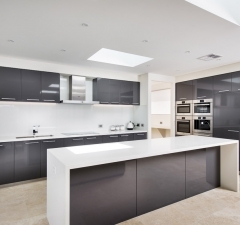 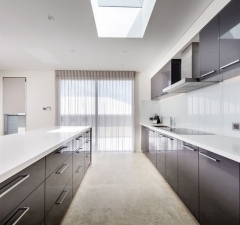 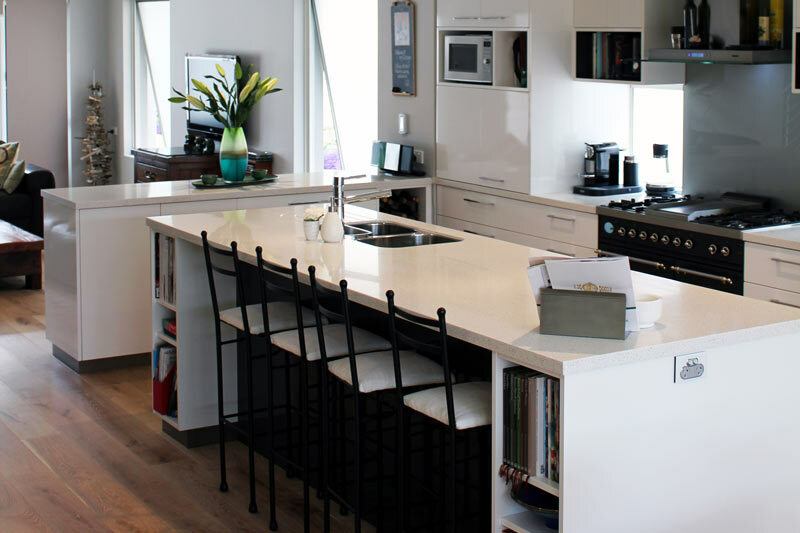 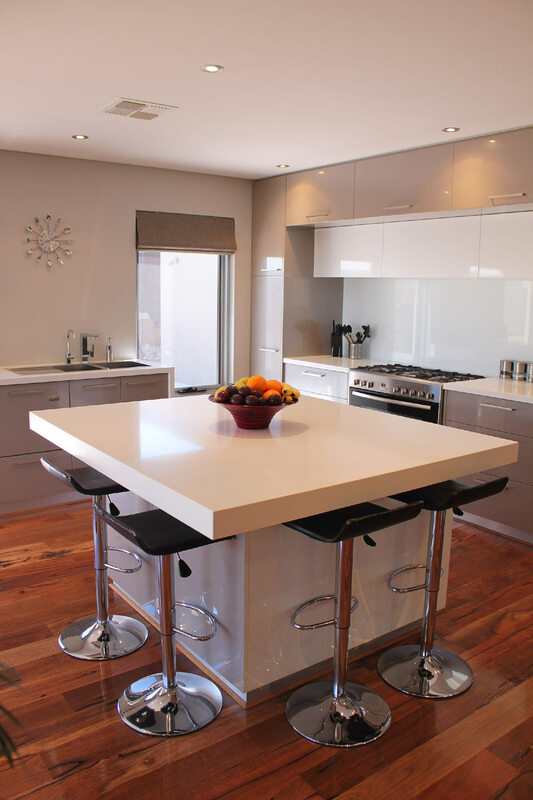 Our team of highly skilled craftsmen have many years’ experience in both home and commercial kitchens and can be relied upon to produce kitchen cabinets of the highest quality. 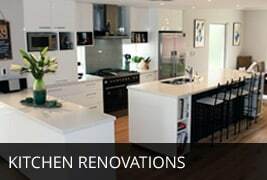 We are proud of the excellent reputation that we have built for ourselves over the last decade and continually strive to improve and expand on the services that we offer clients in Western Australia. 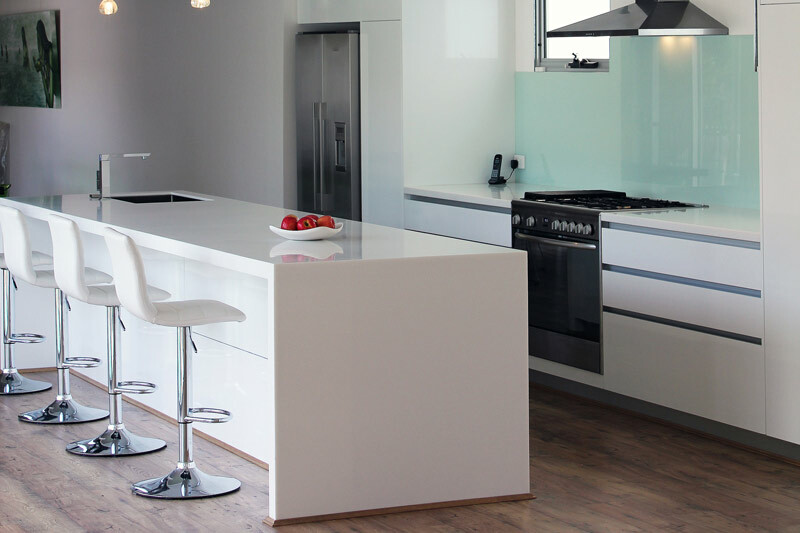 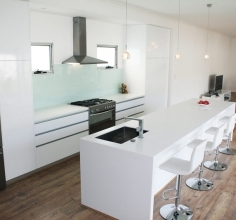 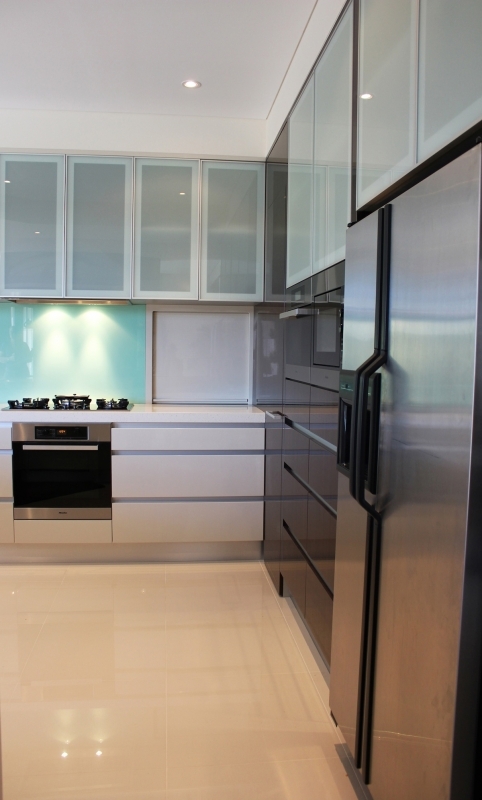 We invite clients to view the ‘manufacture and assembly’ of their kitchens at our factory. 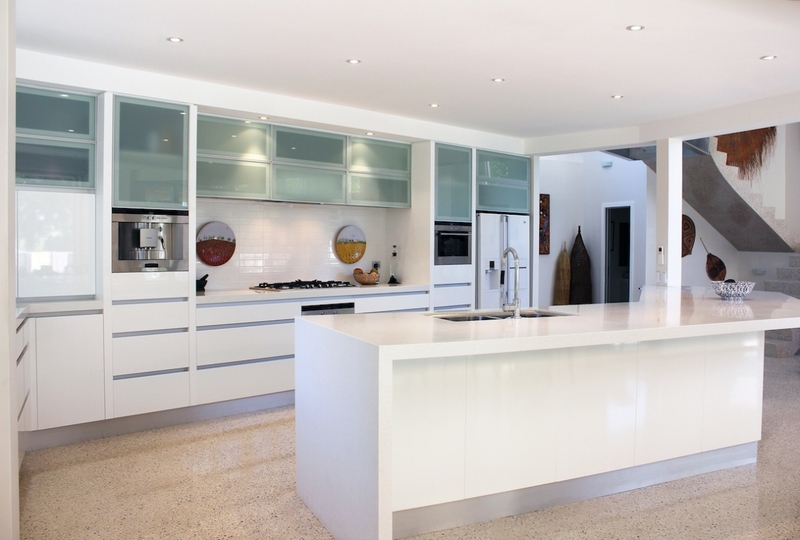 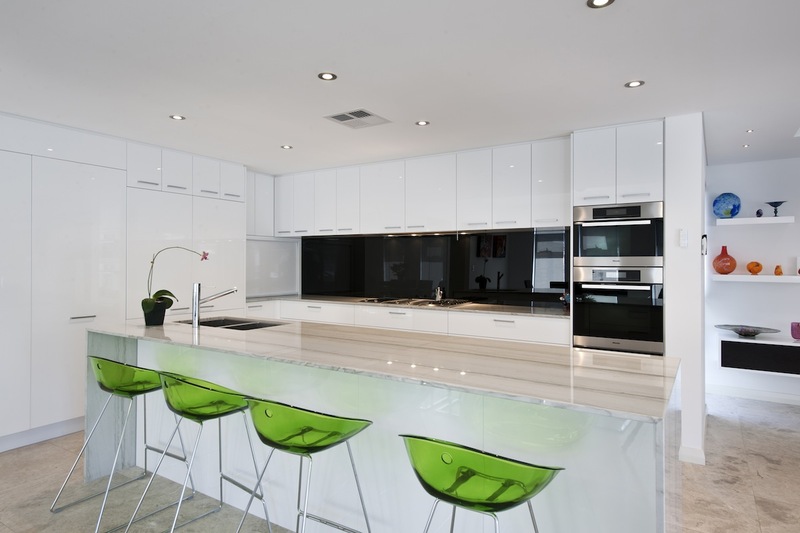 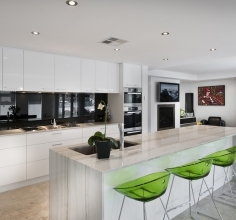 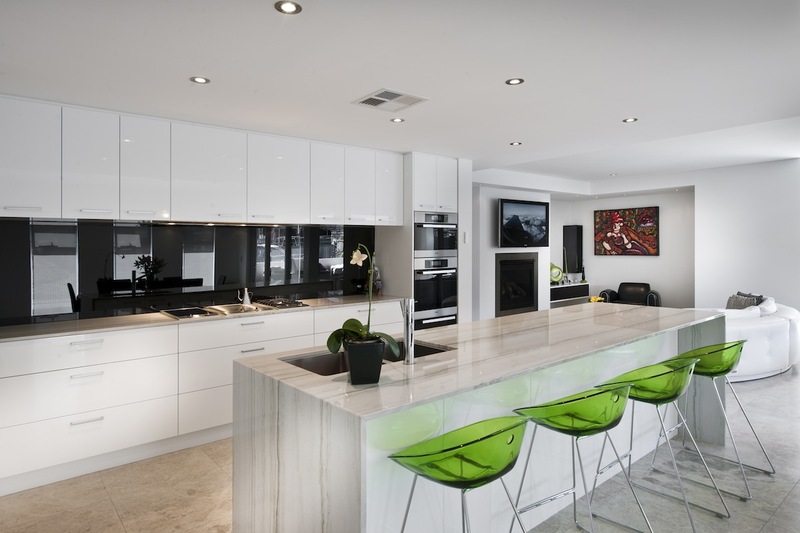 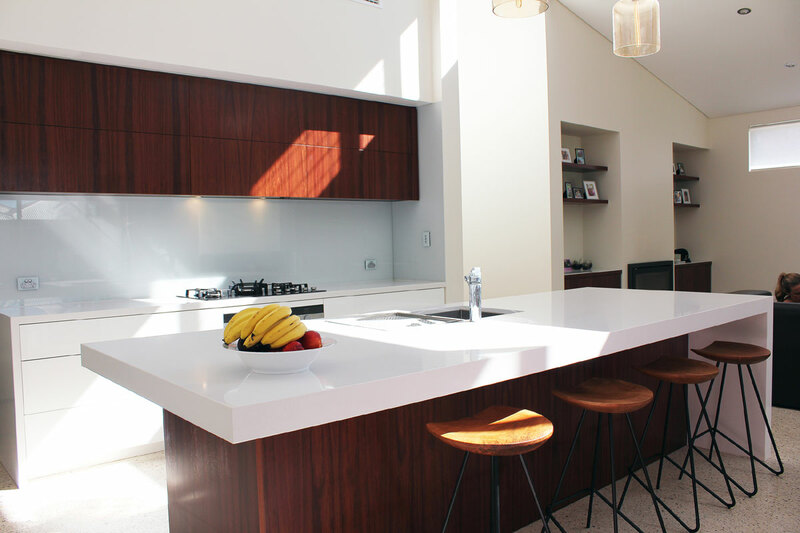 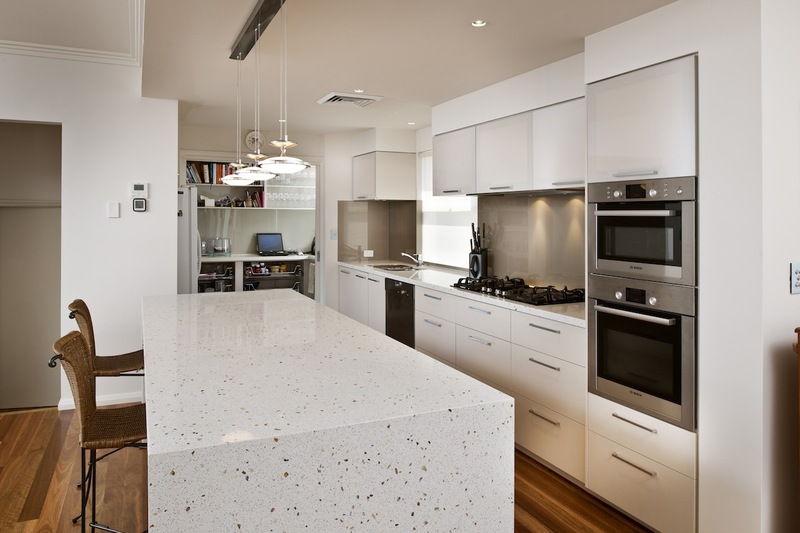 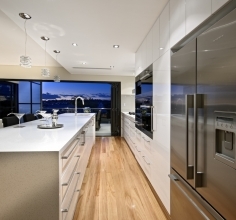 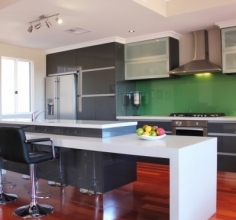 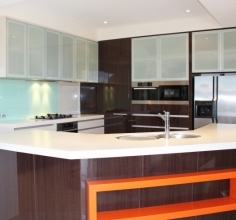 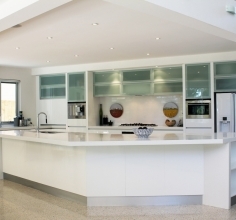 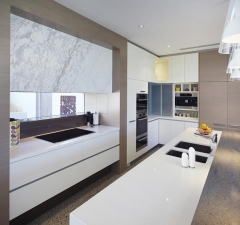 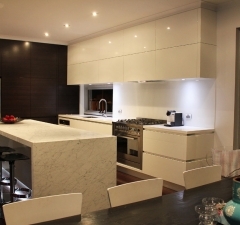 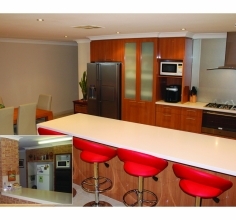 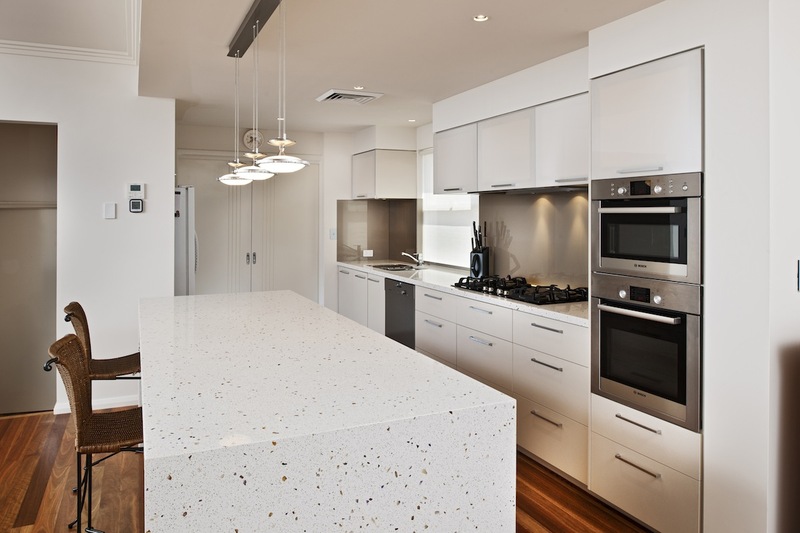 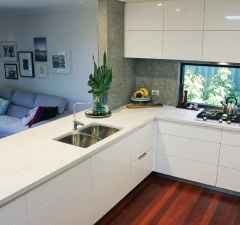 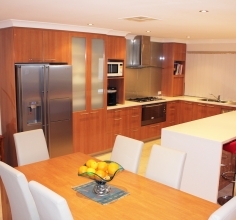 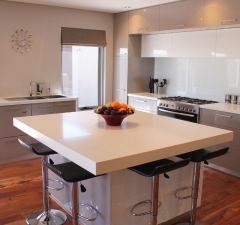 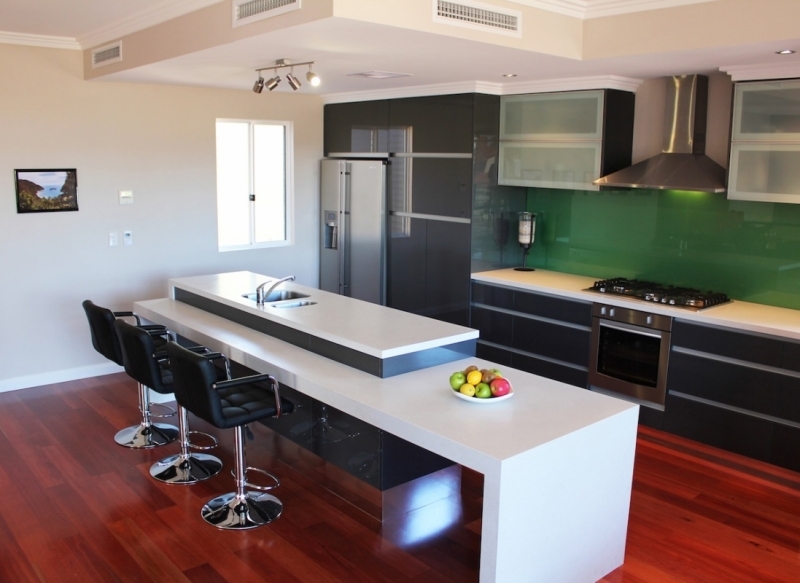 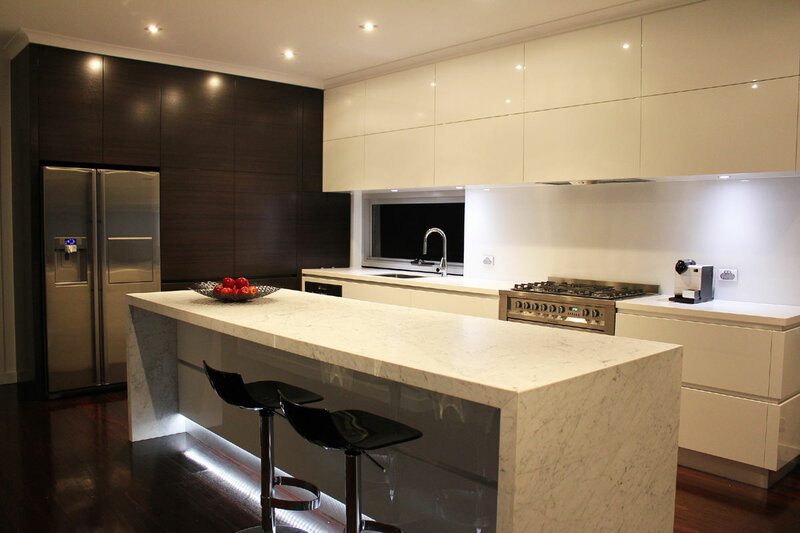 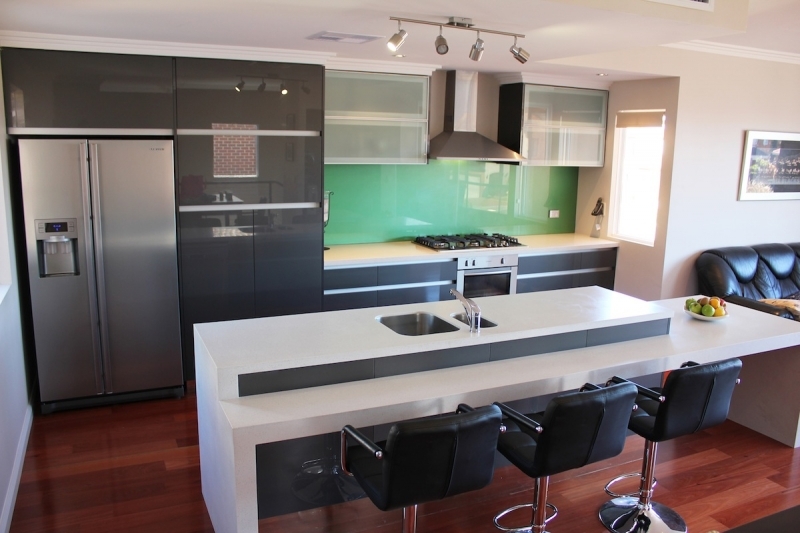 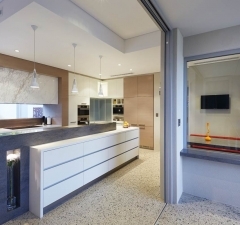 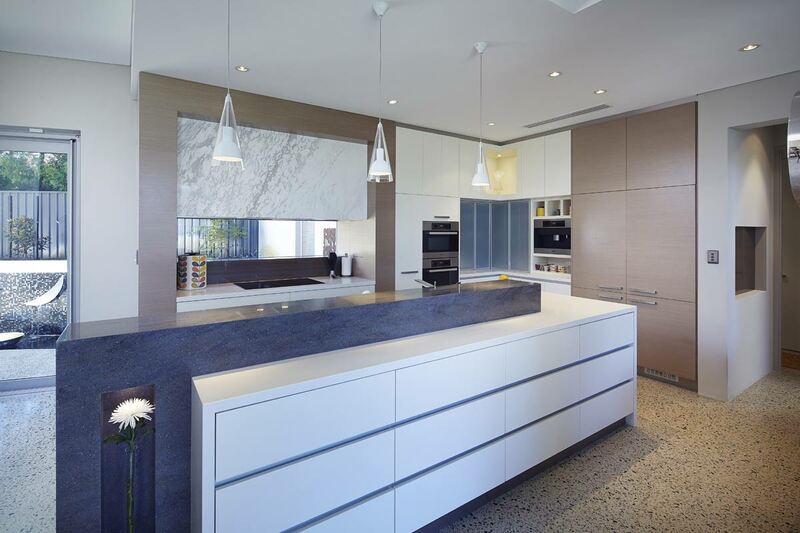 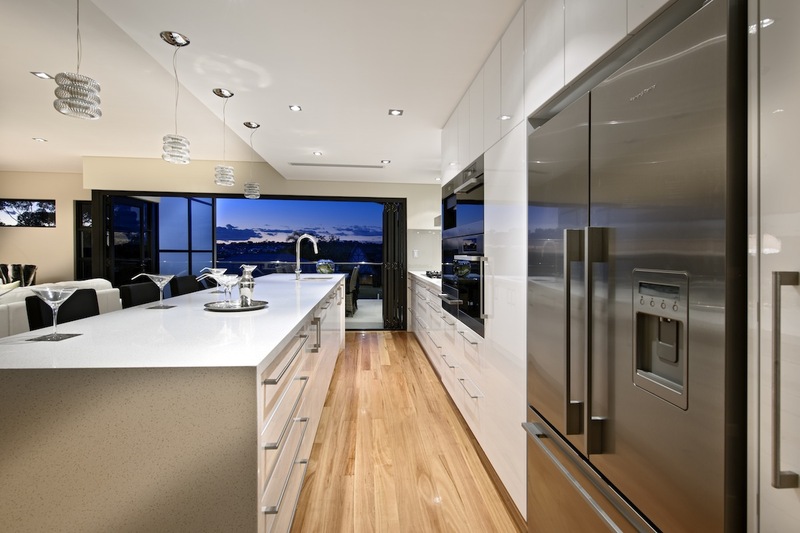 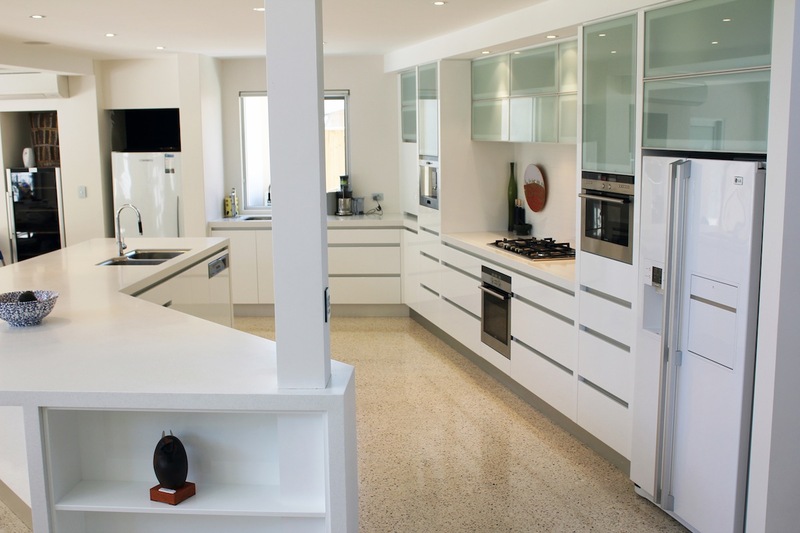 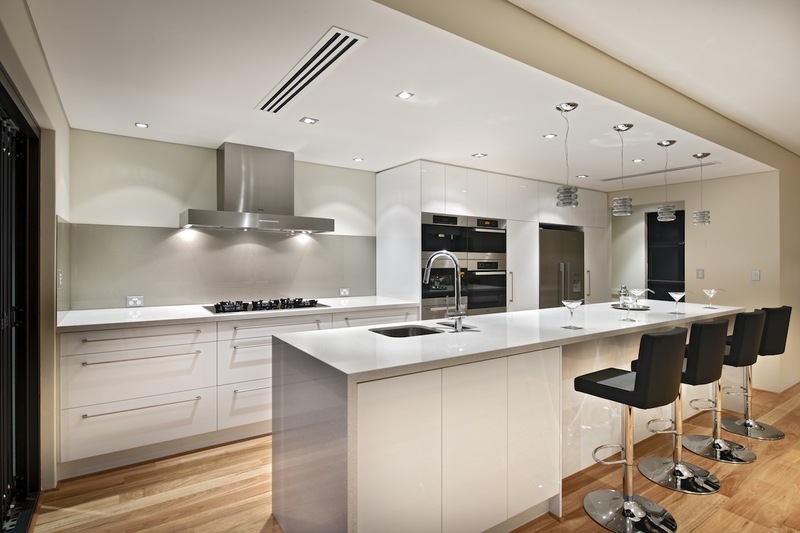 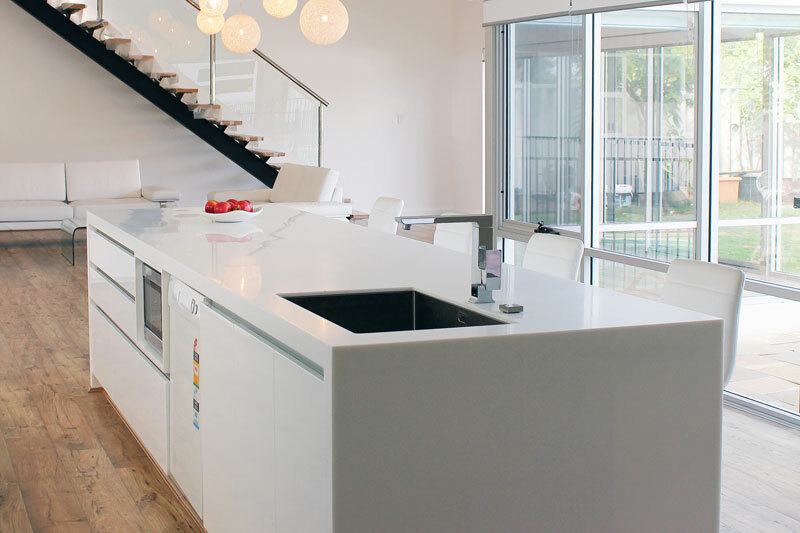 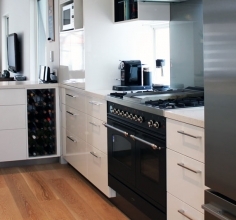 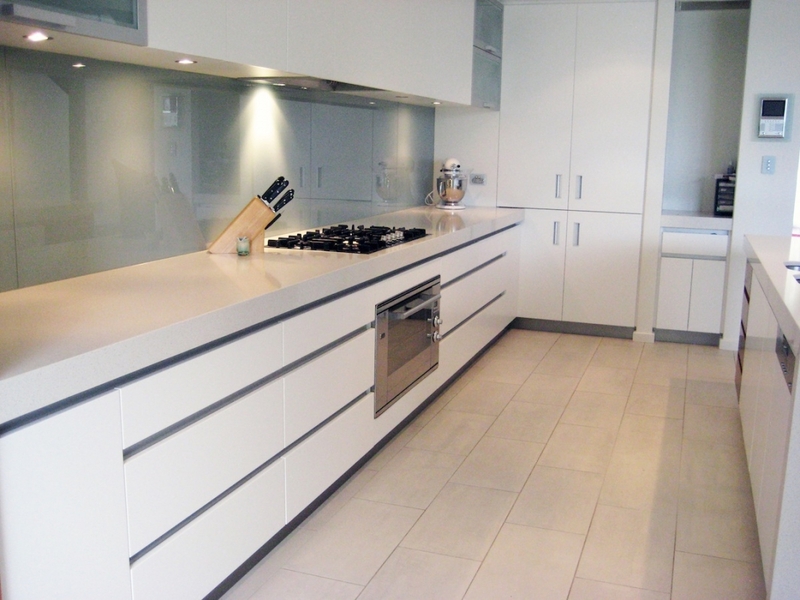 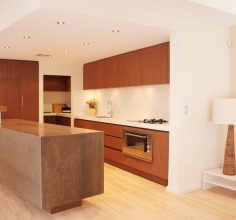 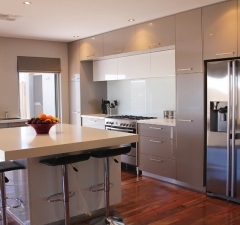 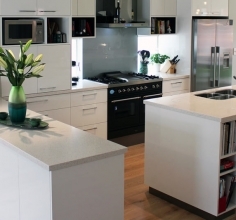 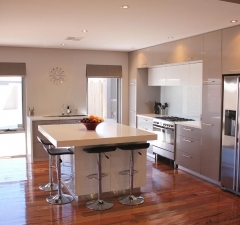 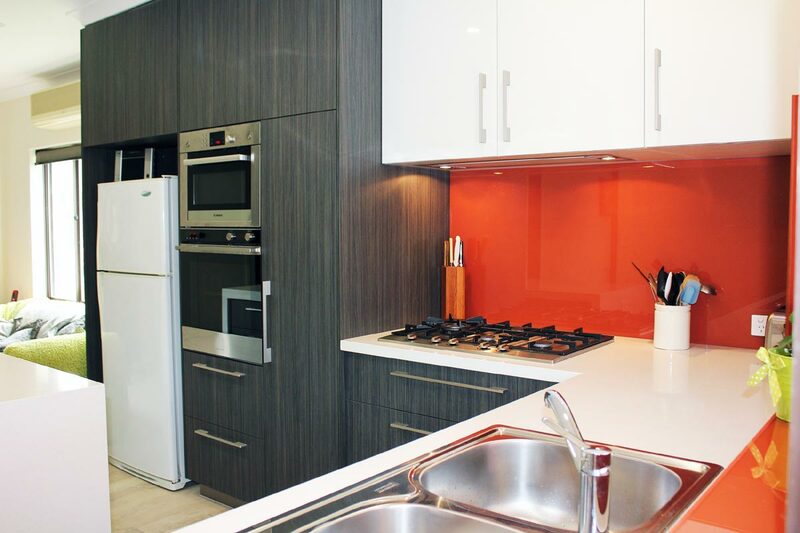 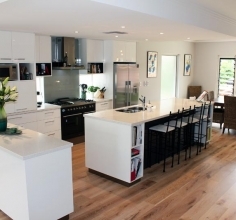 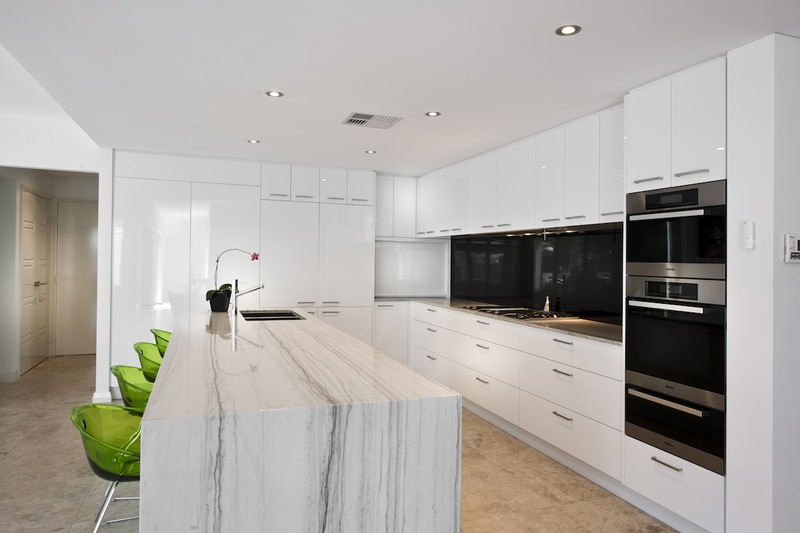 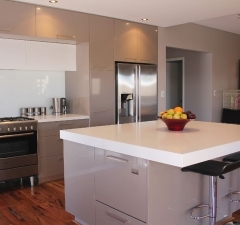 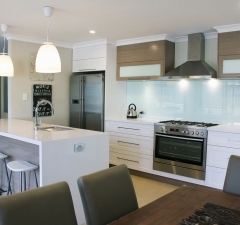 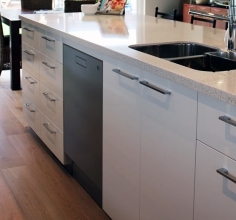 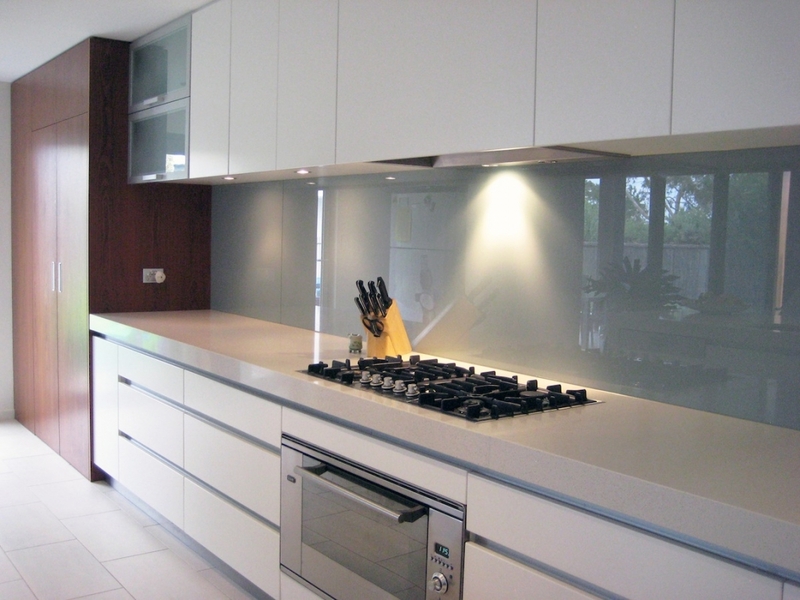 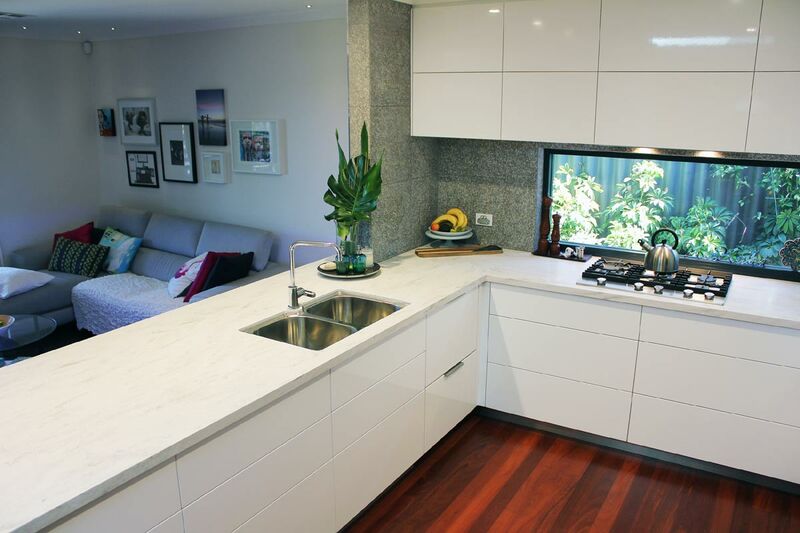 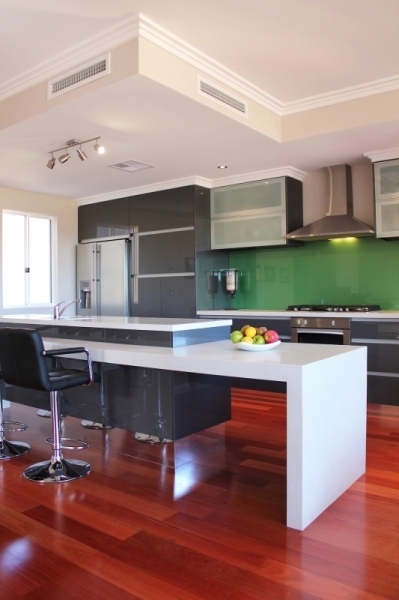 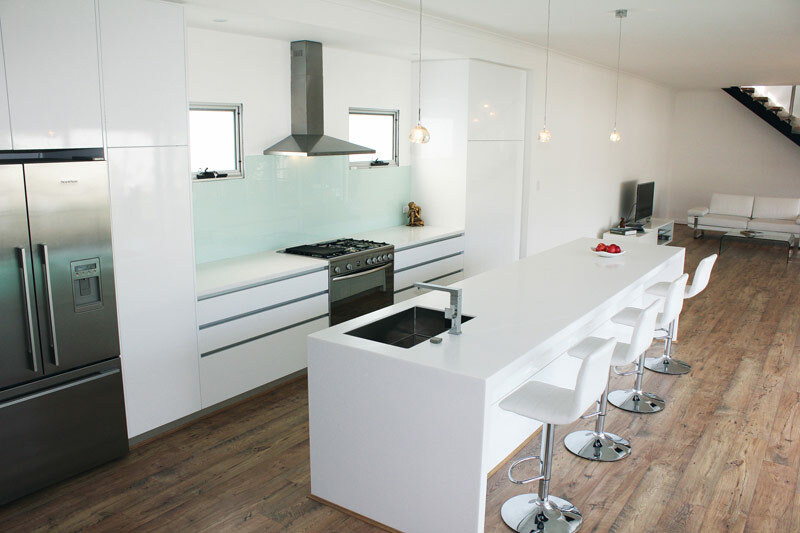 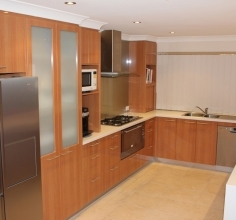 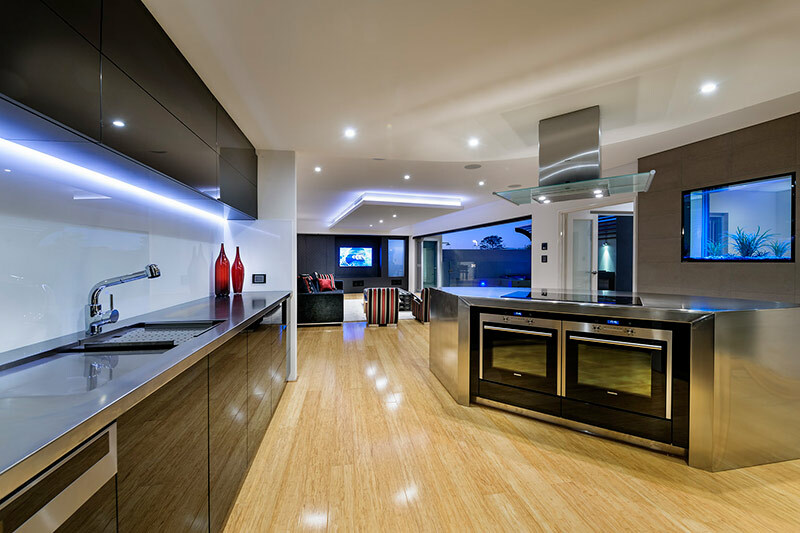 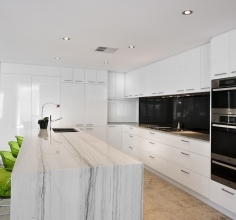 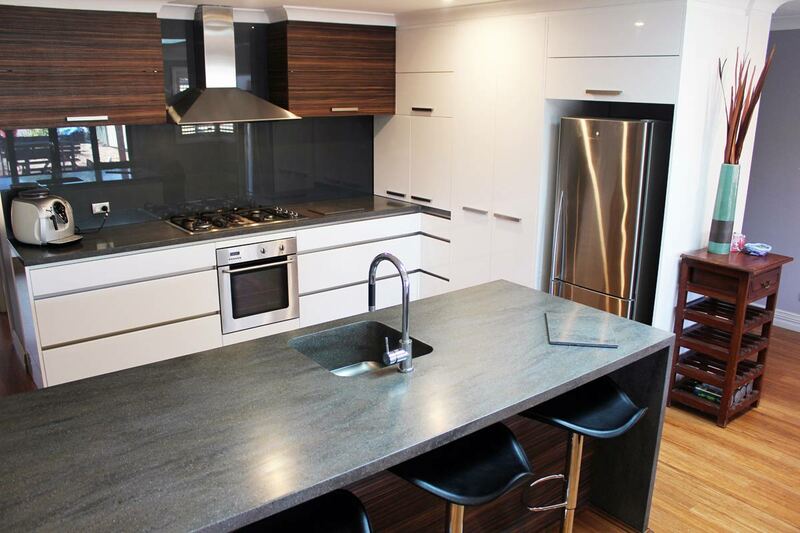 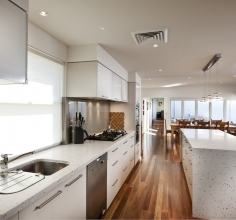 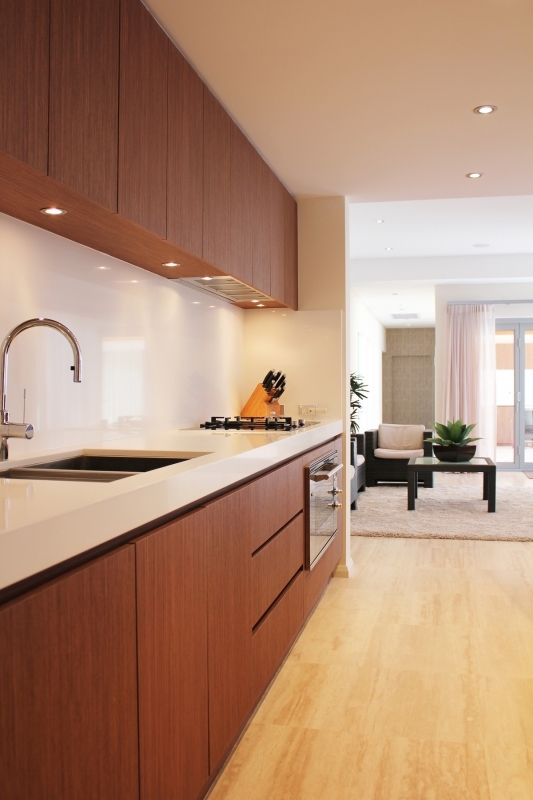 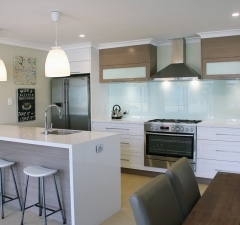 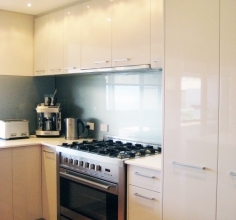 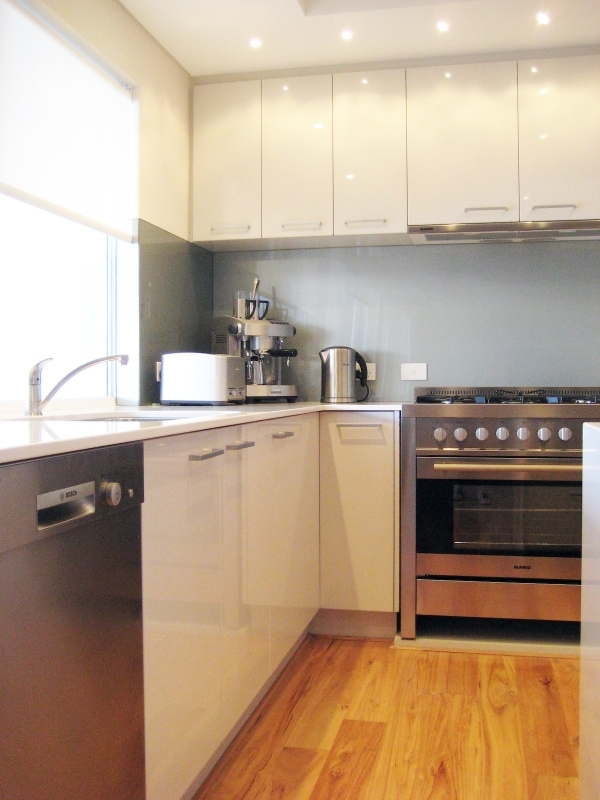 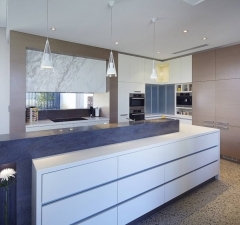 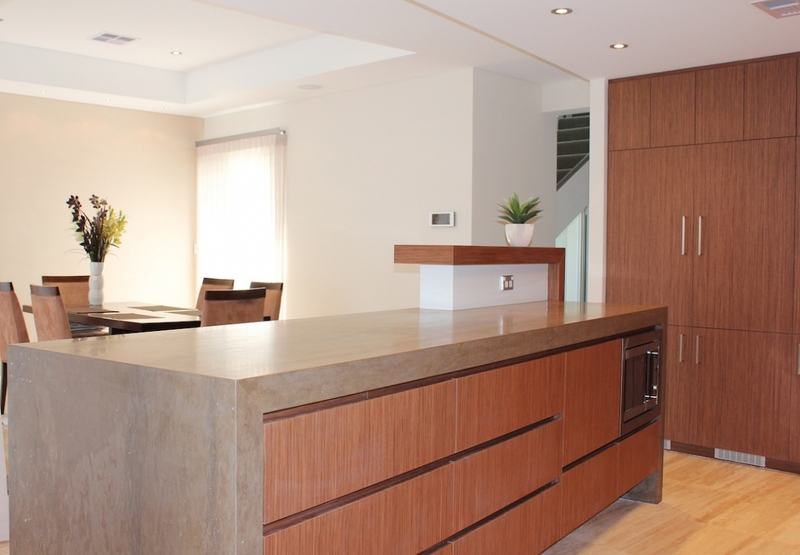 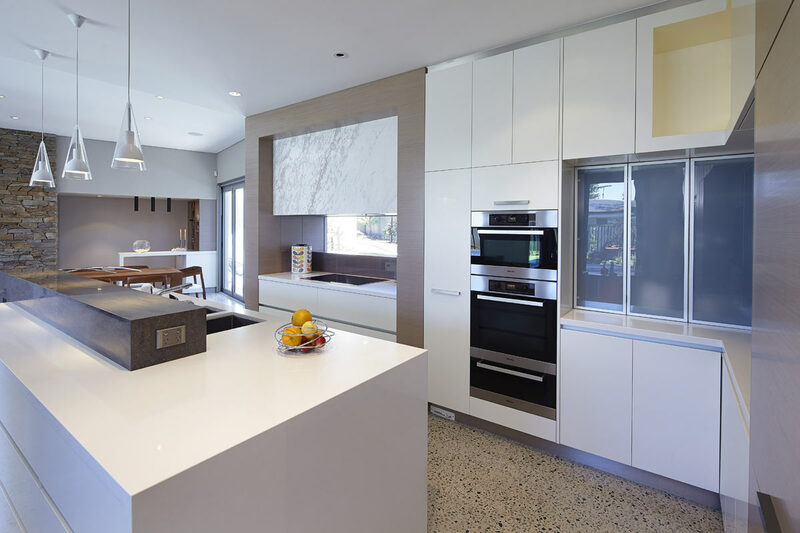 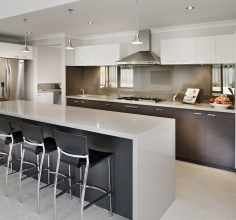 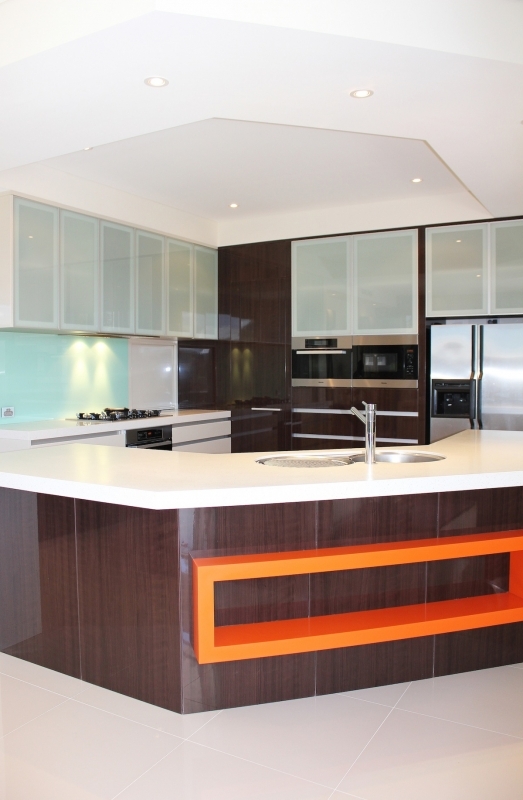 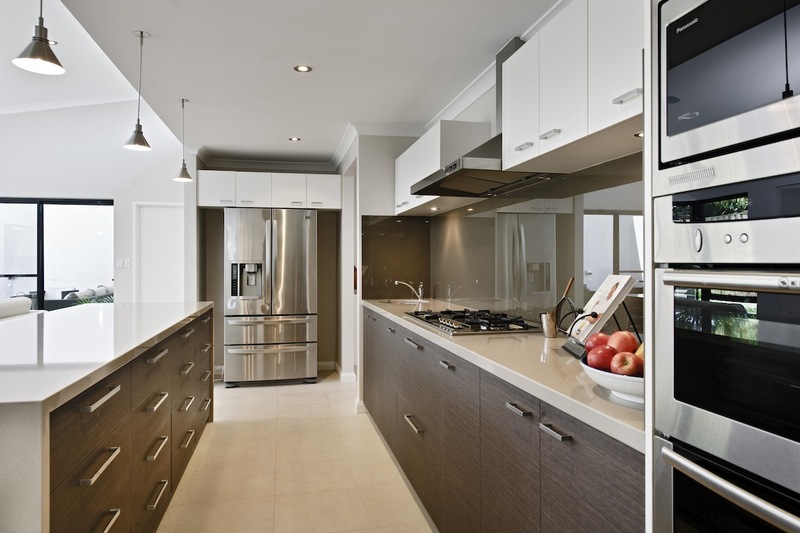 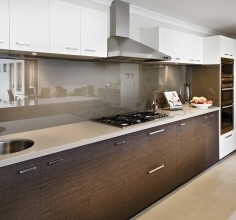 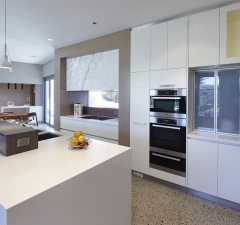 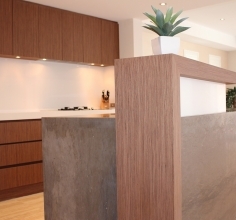 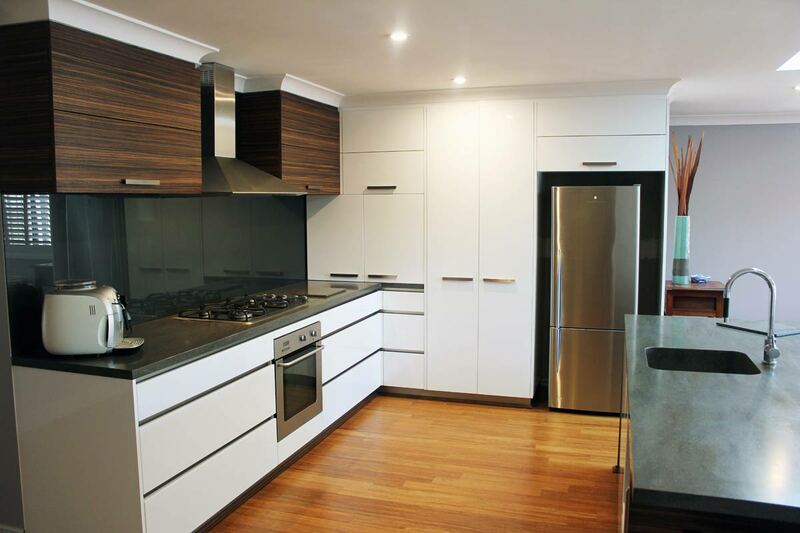 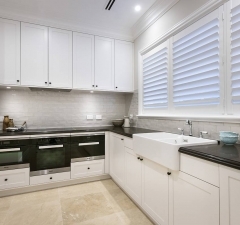 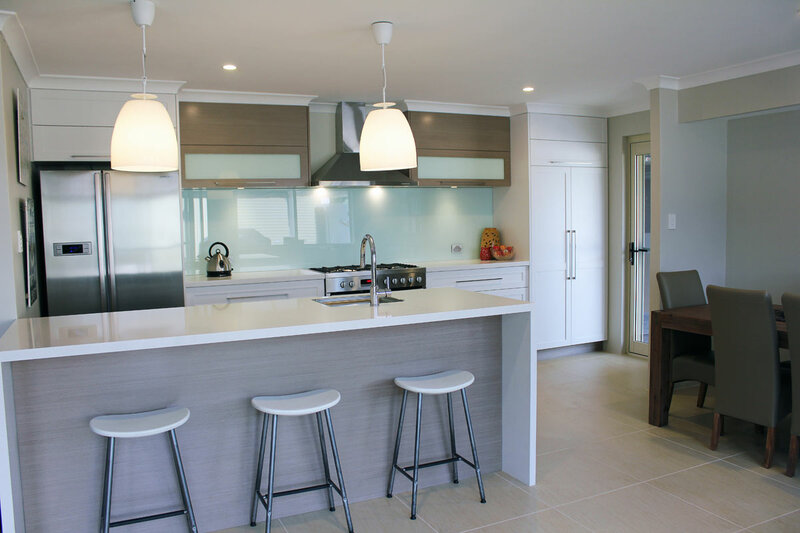 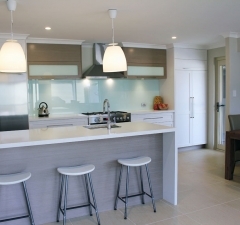 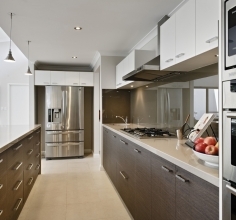 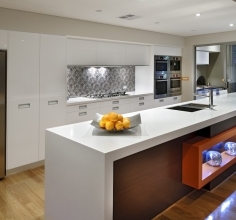 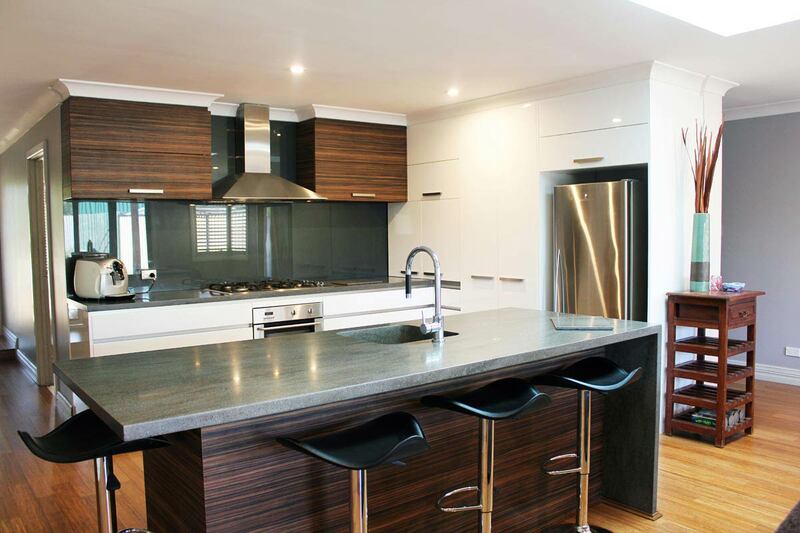 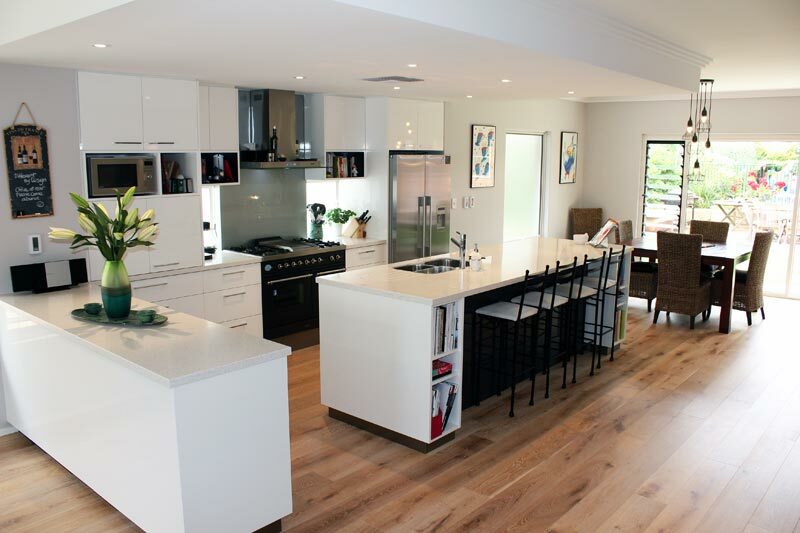 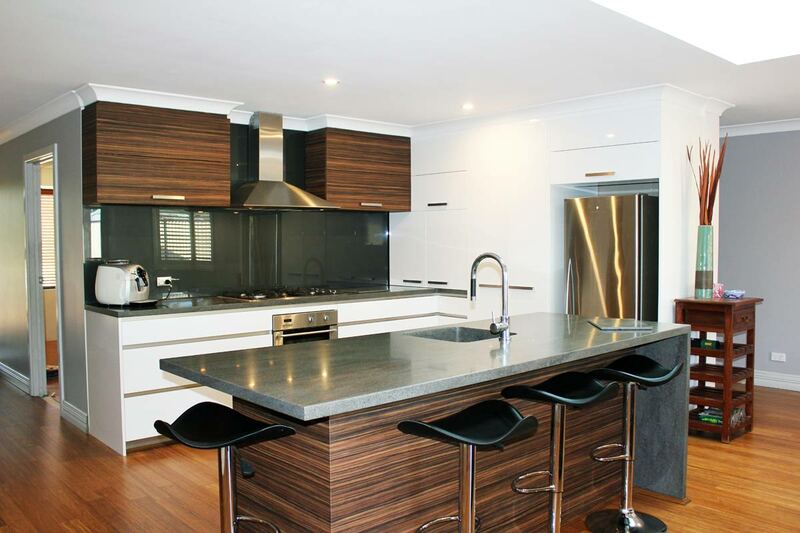 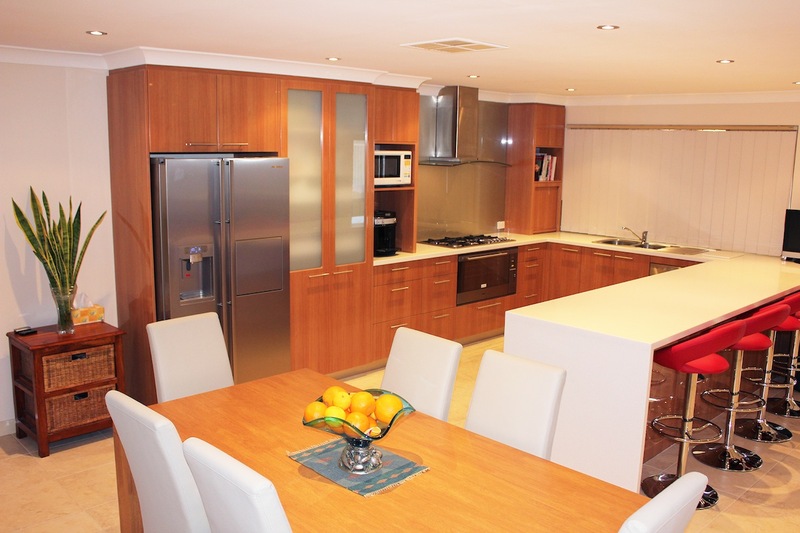 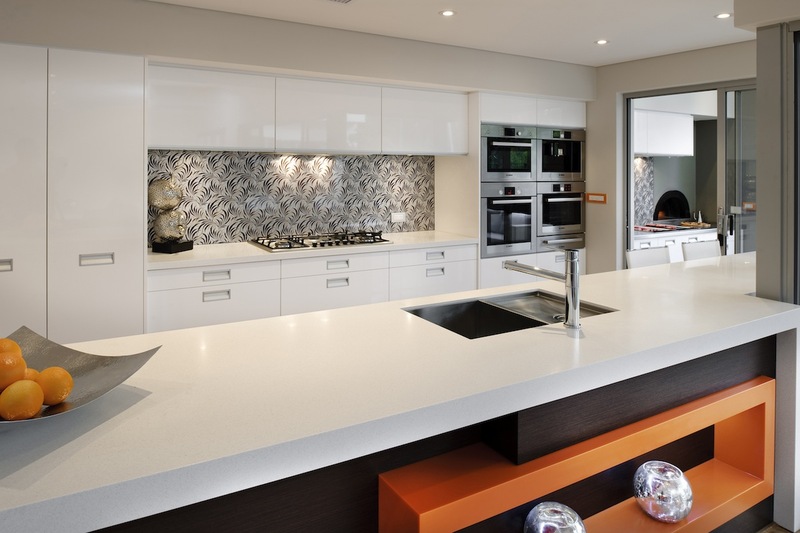 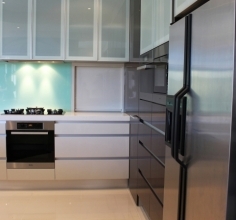 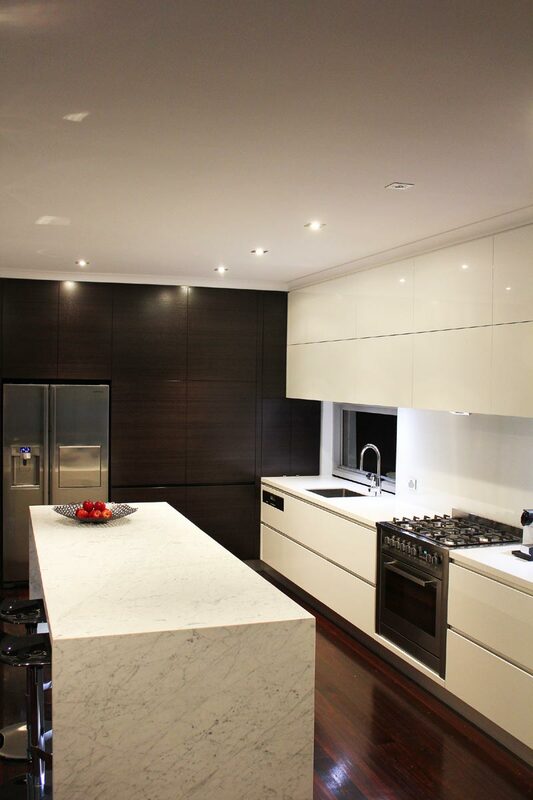 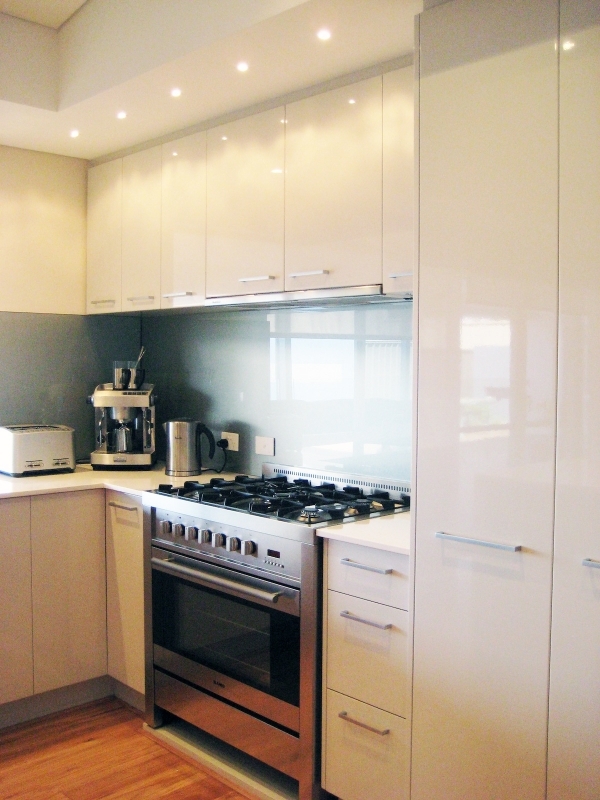 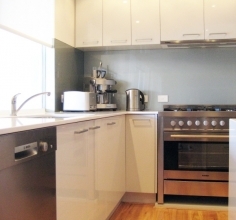 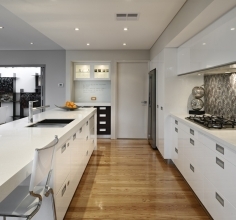 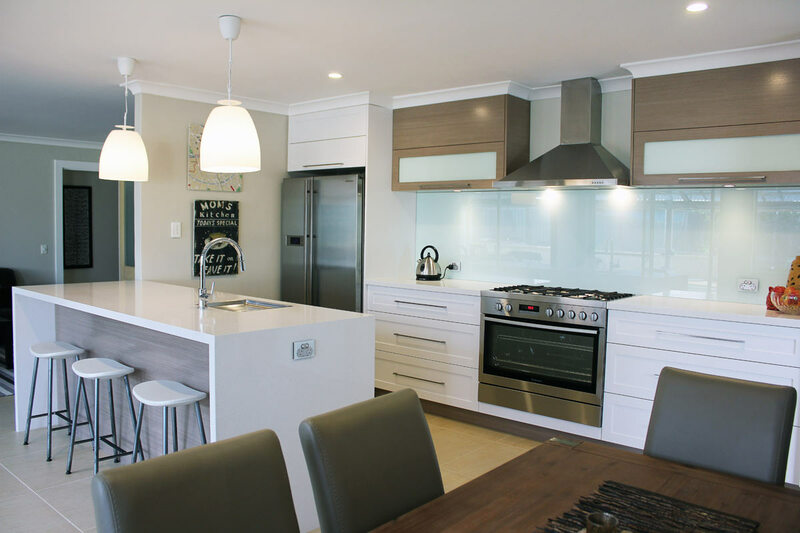 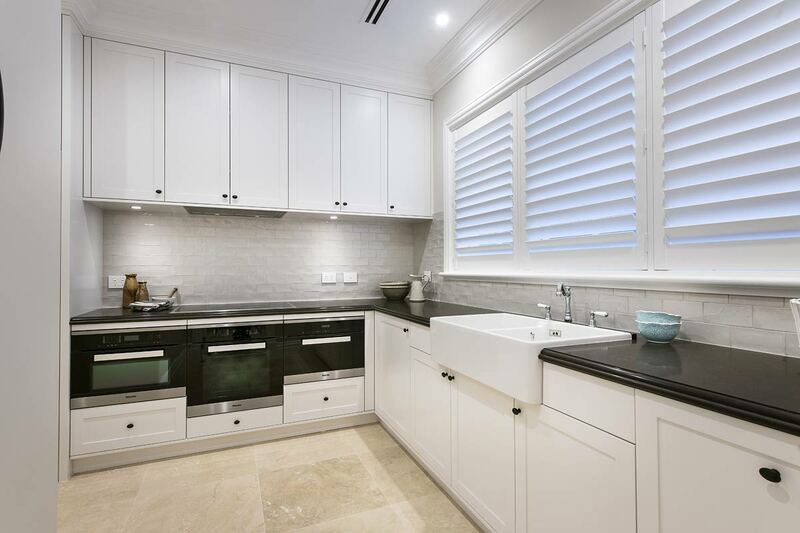 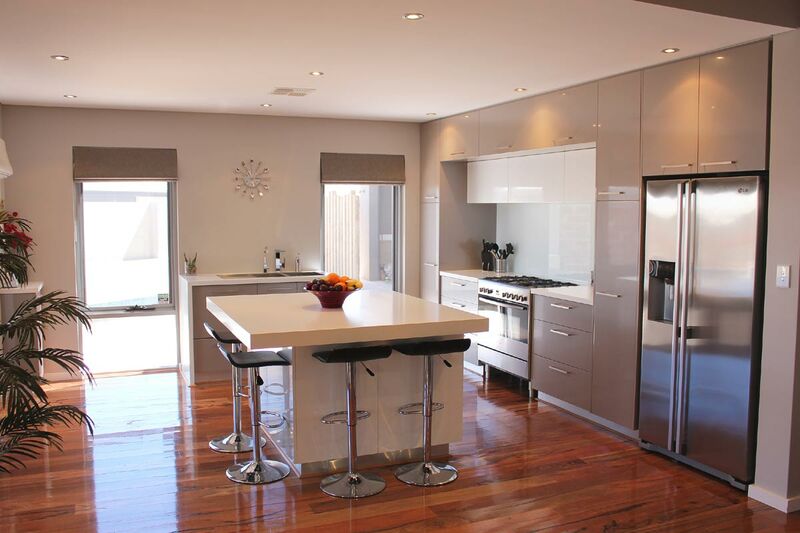 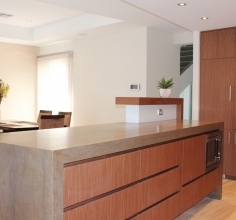 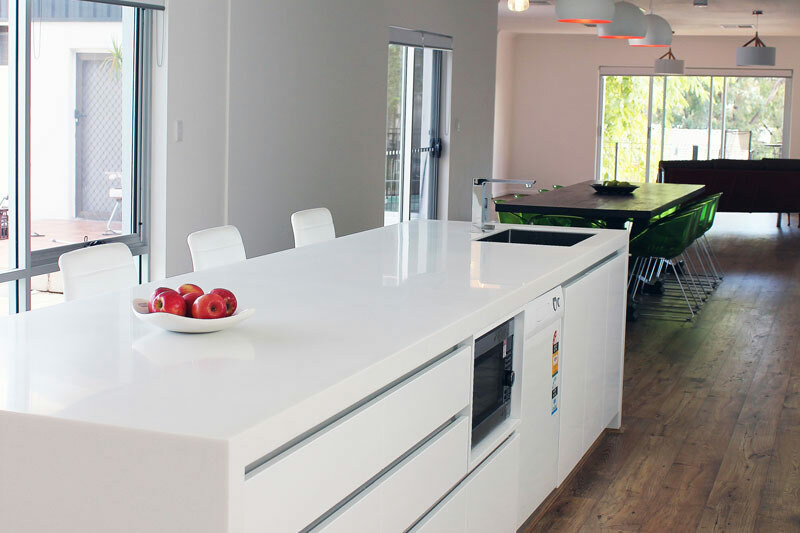 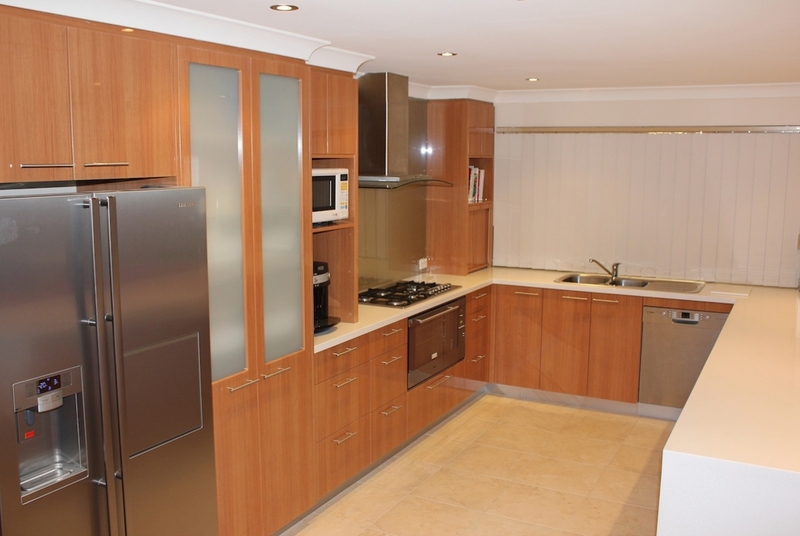 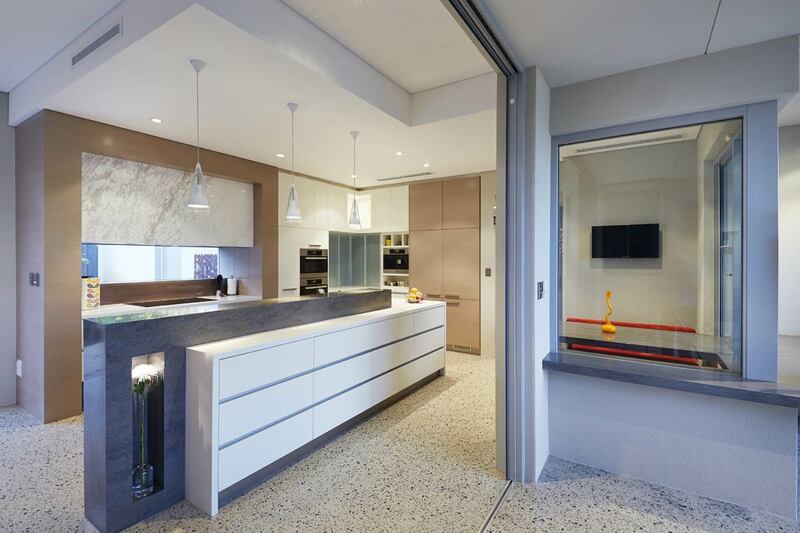 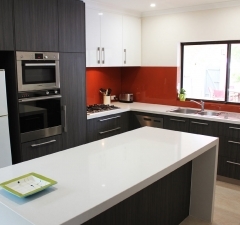 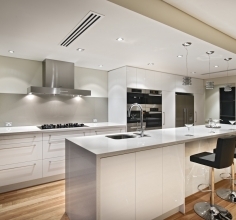 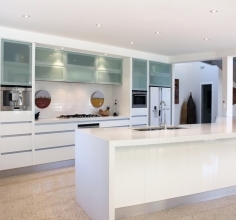 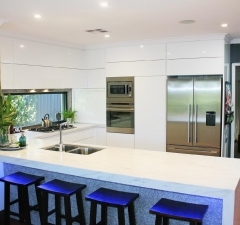 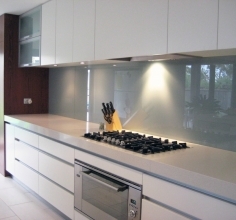 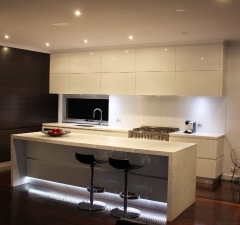 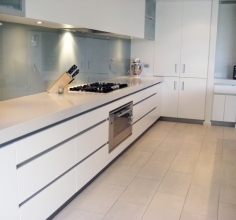 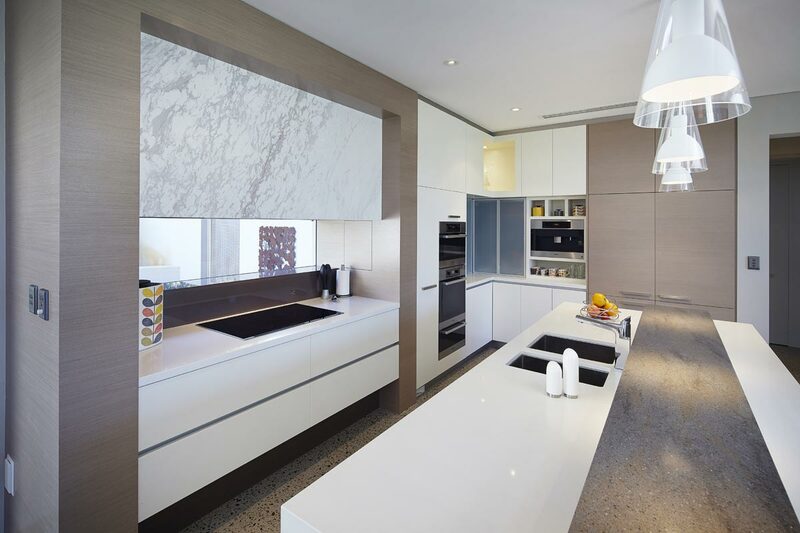 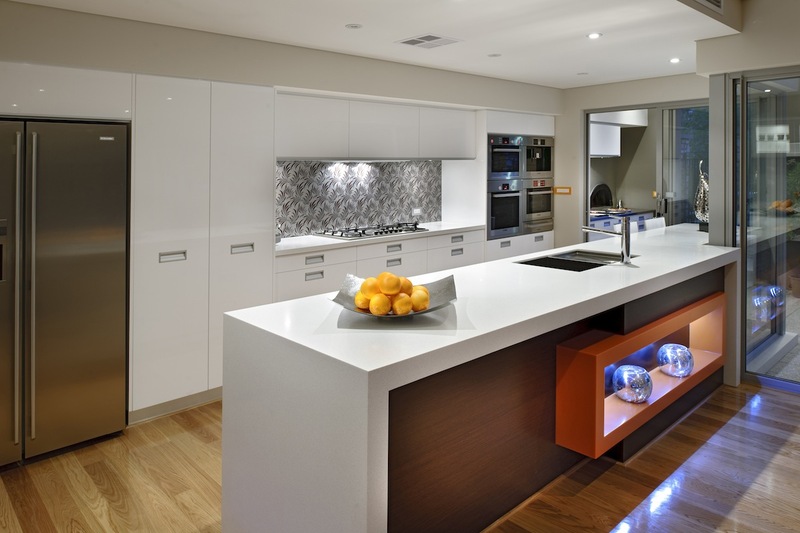 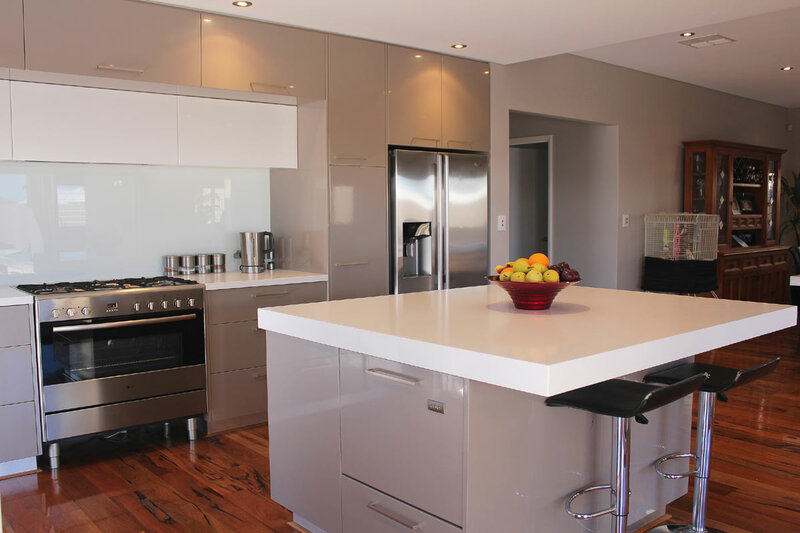 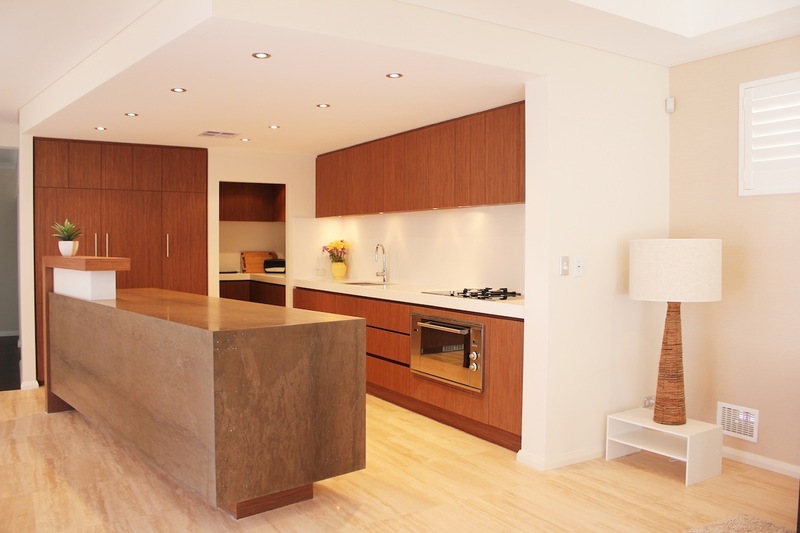 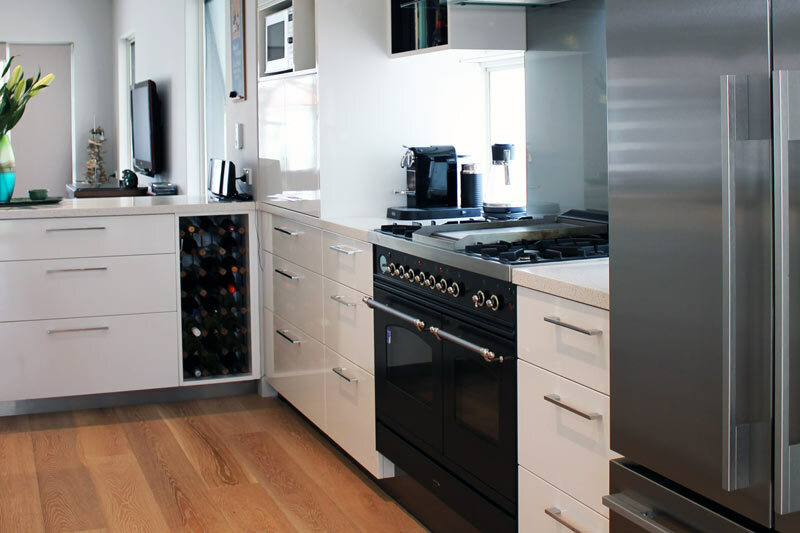 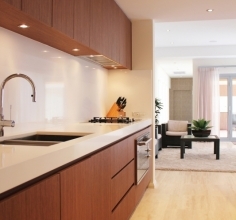 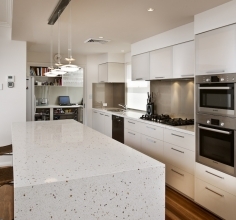 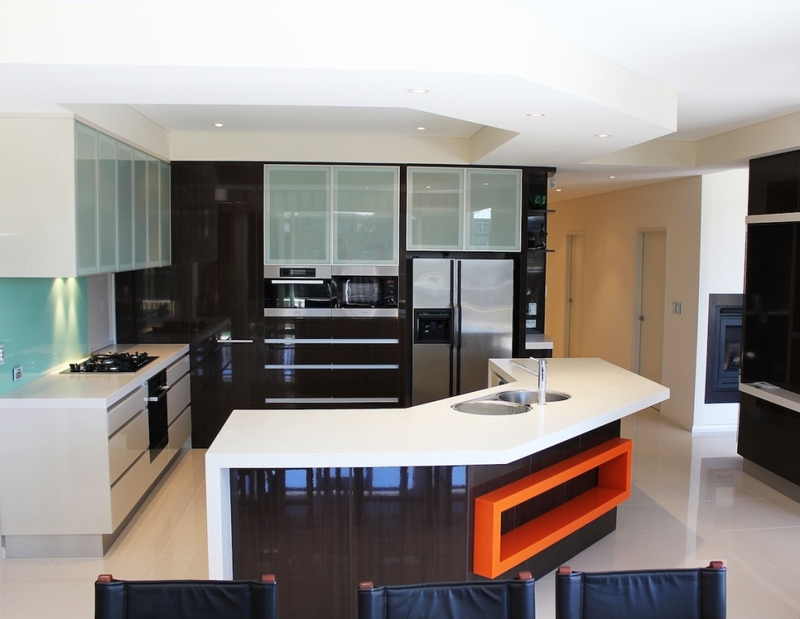 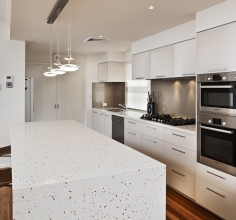 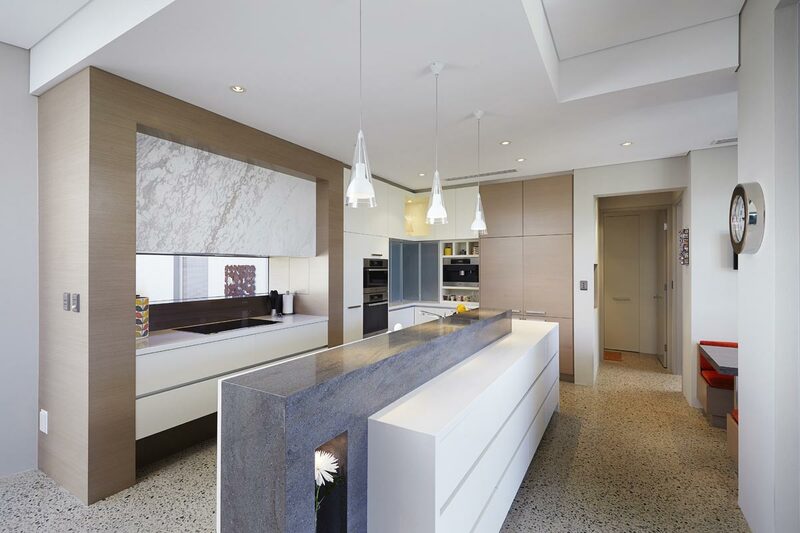 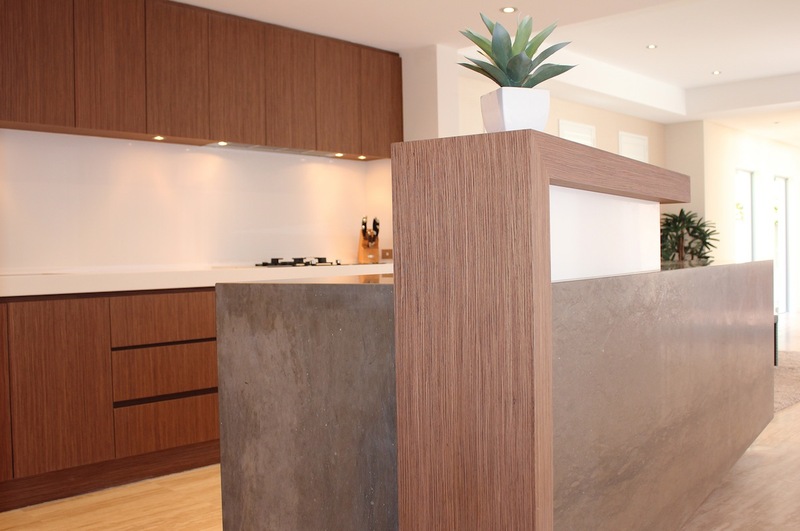 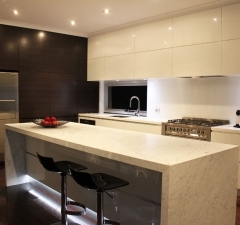 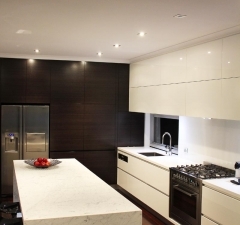 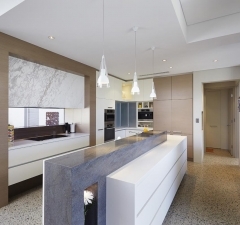 Whether you would like to create a new kitchen or order a few cabinets, we provide the best cabinet solutions in Perth. 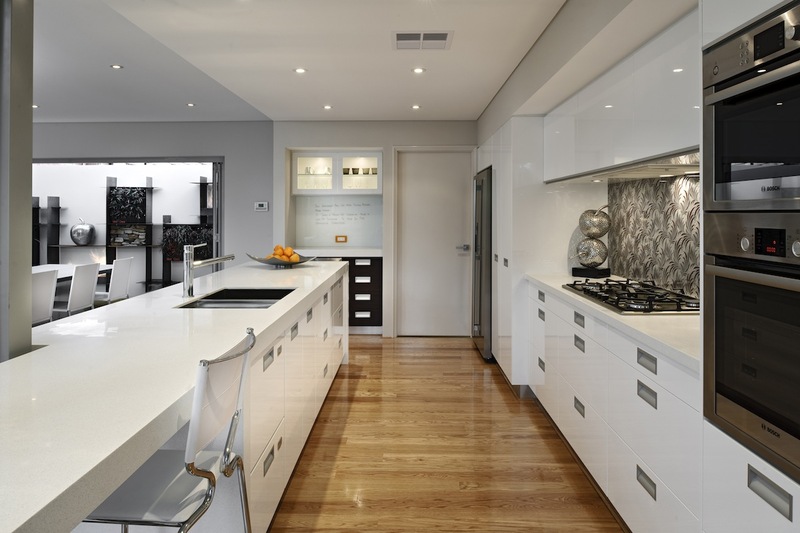 that you choose your kitchen cabinets supplier very carefully. 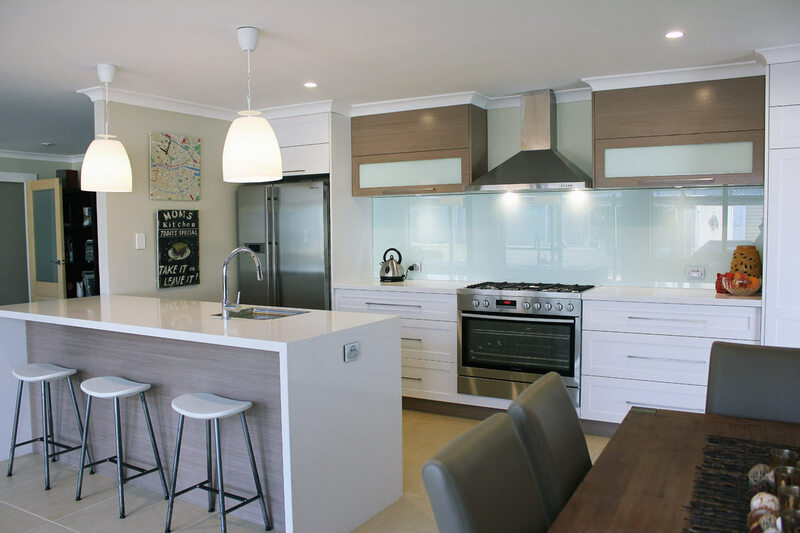 We at Kitchen Professionals have long term experience in creating custom kitchen cabinets to suit the sensibilities and needs of all clients. 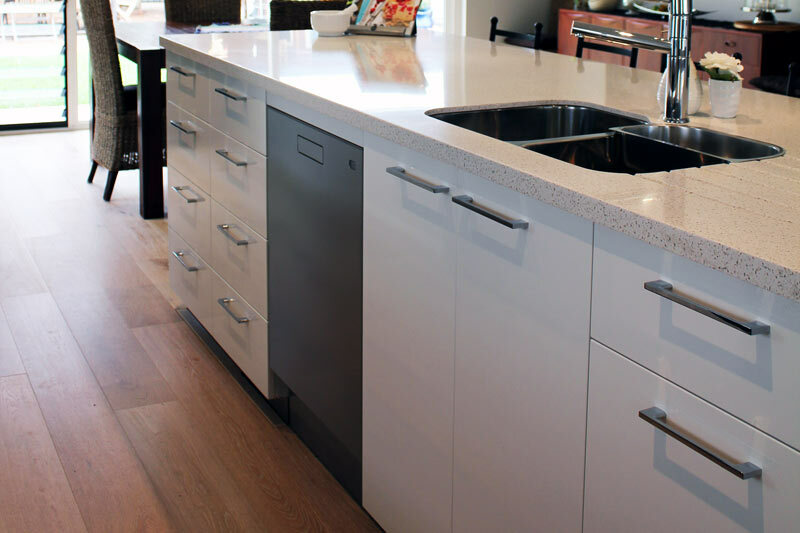 All our kitchen cabinets are created with the best quality materials and come with a durability guarantee. 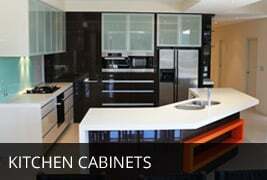 Furthermore, we have all sorts of cabinet styles and patterns available to accommodate your kitchen design needs. 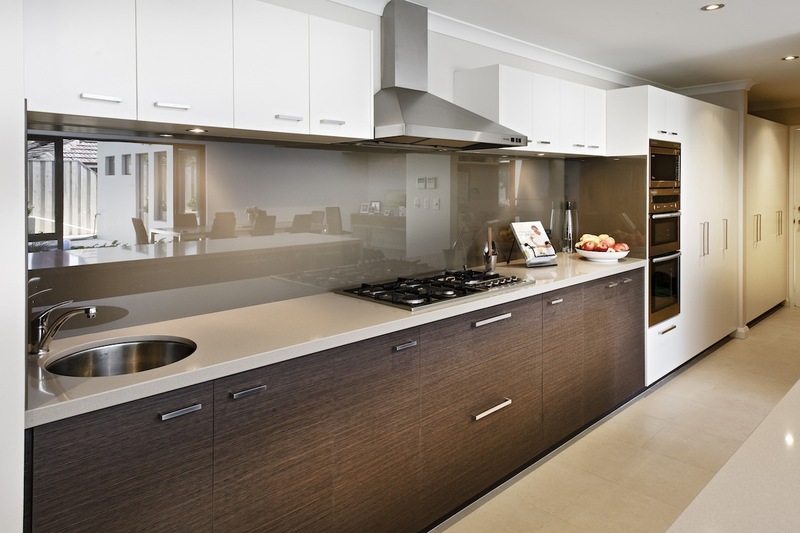 If you’re already getting your kitchen designed by us, why not have us supply and install high quality kitchen cabinets for you as well? 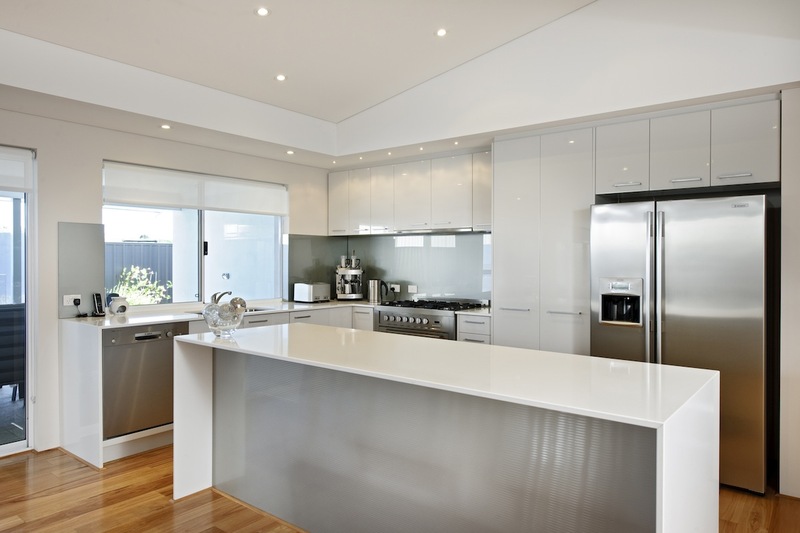 of a completed kitchen in your home. 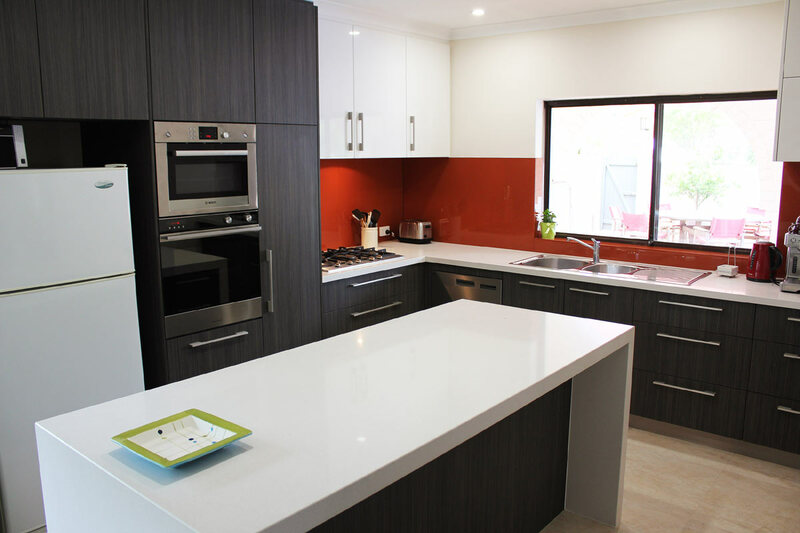 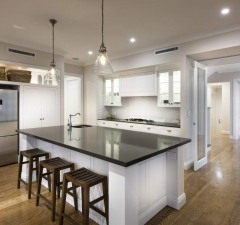 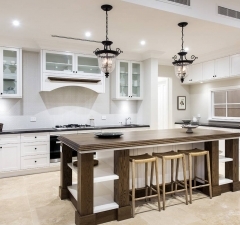 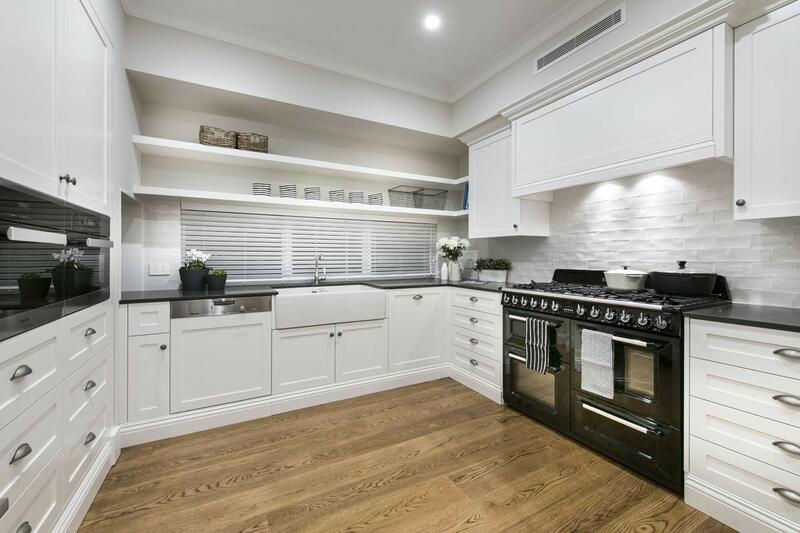 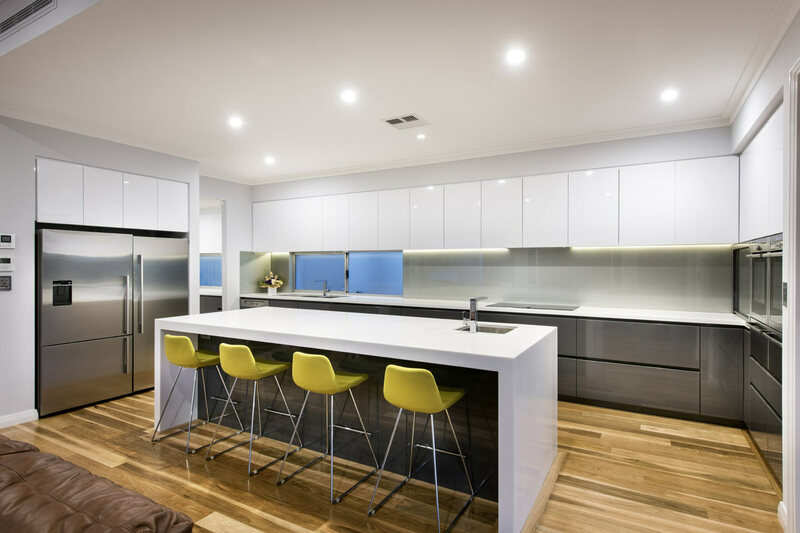 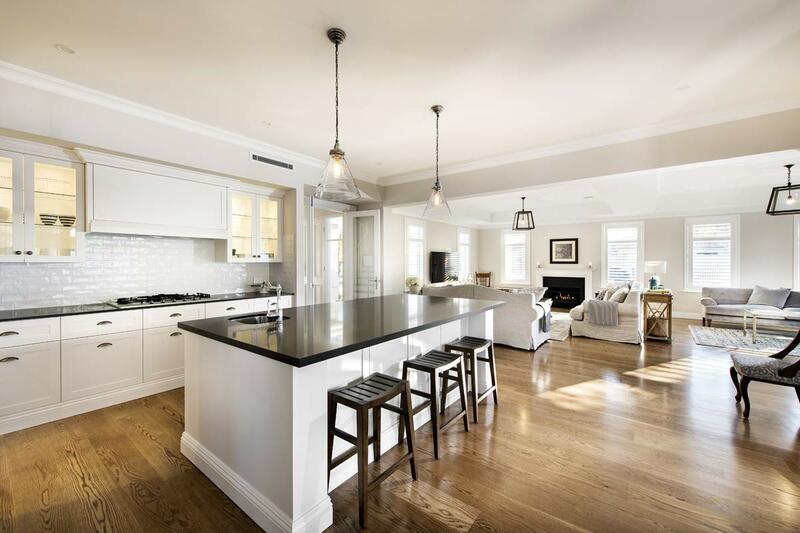 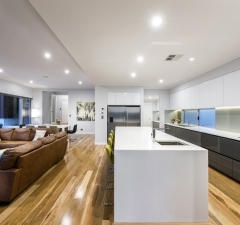 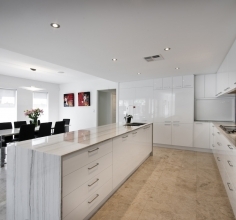 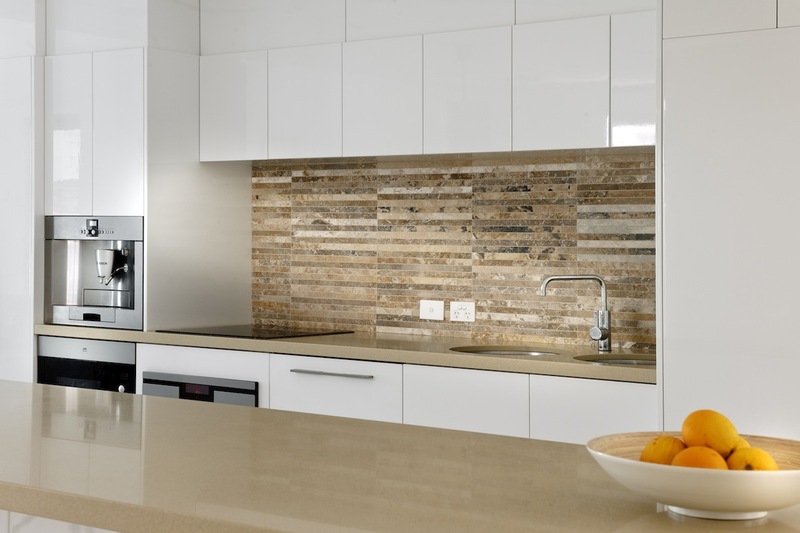 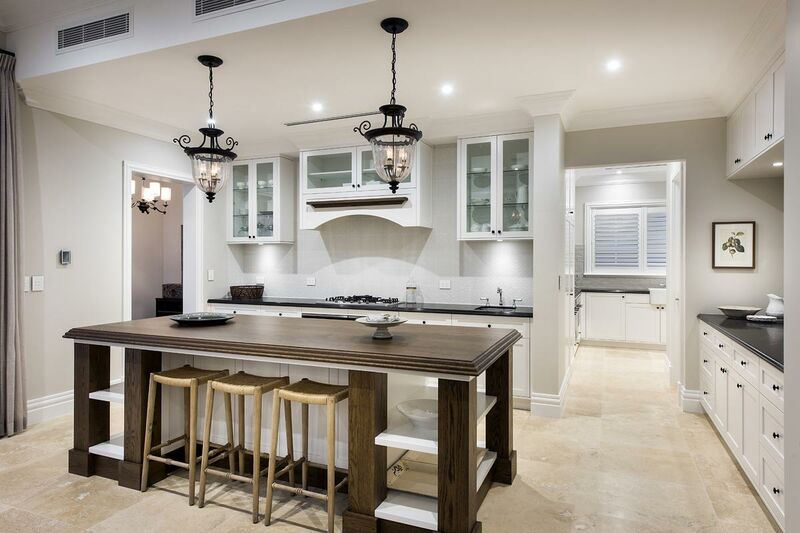 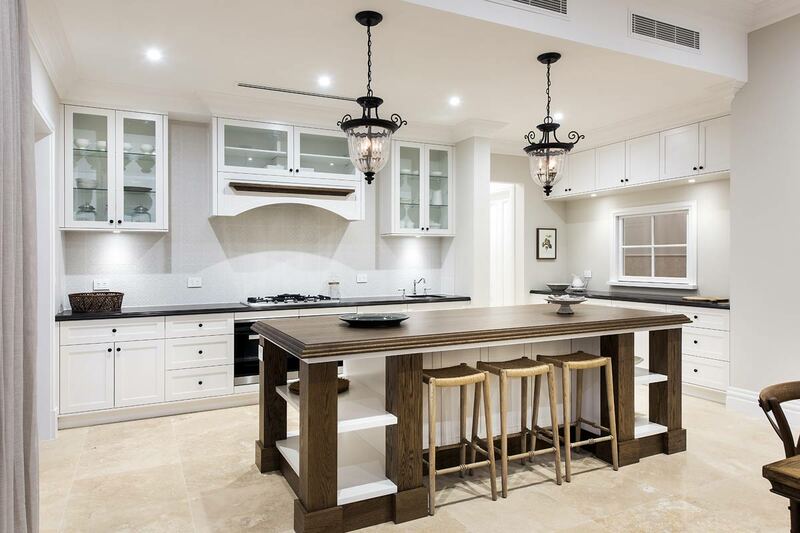 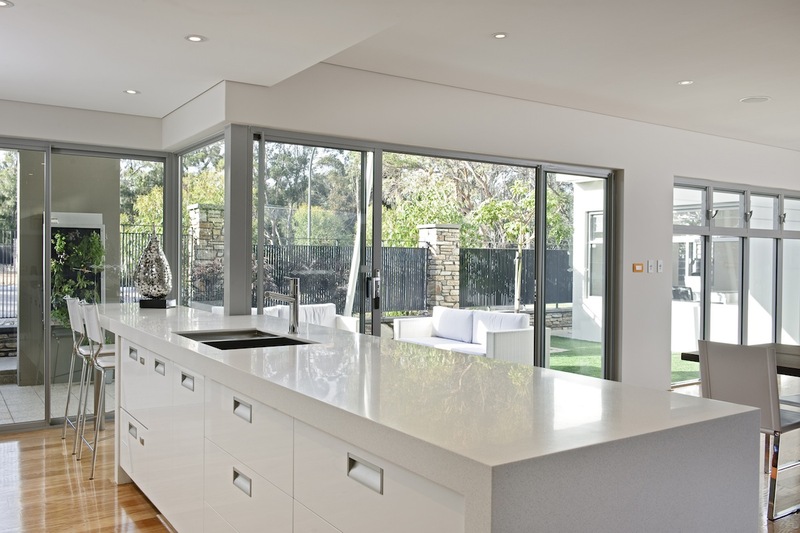 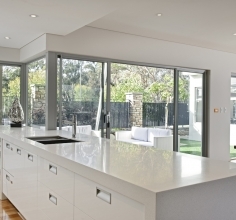 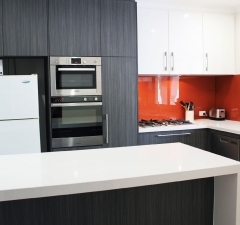 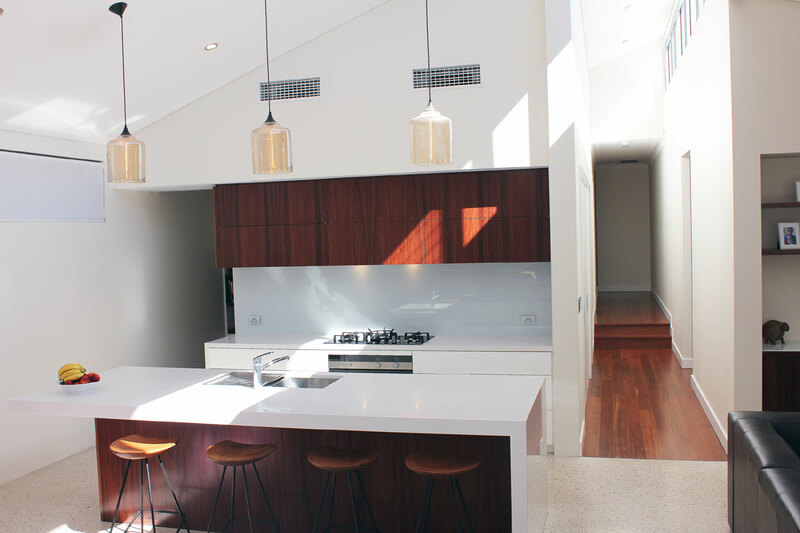 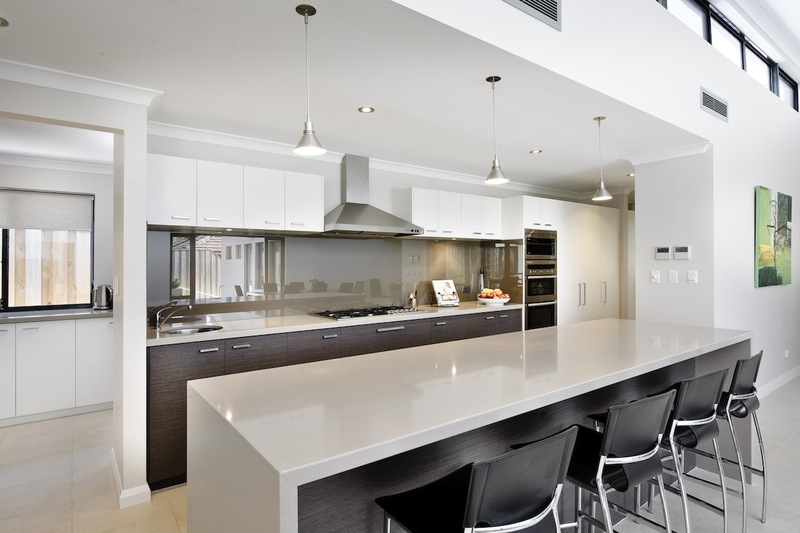 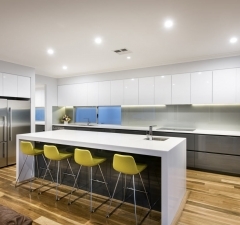 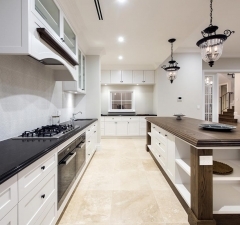 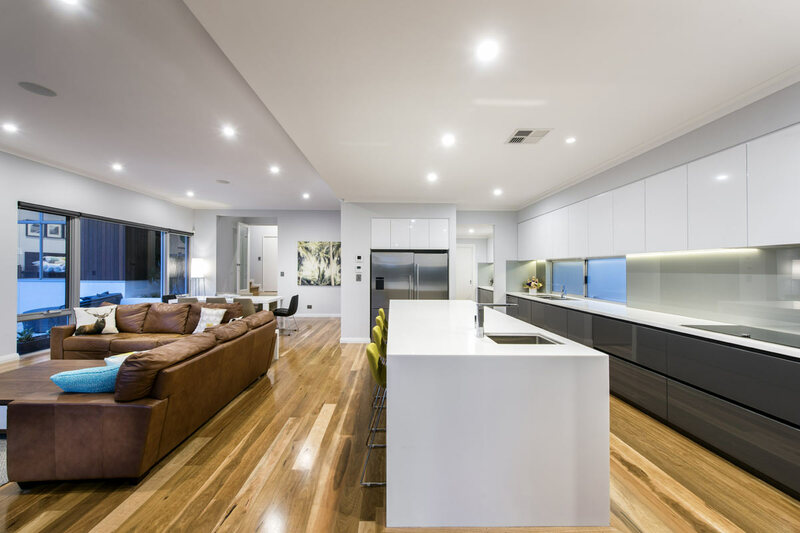 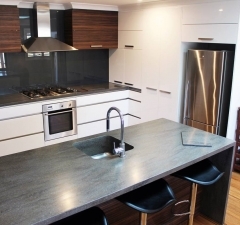 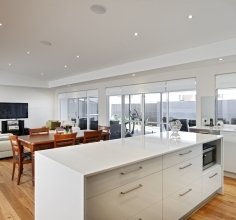 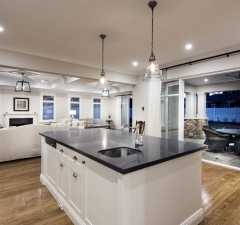 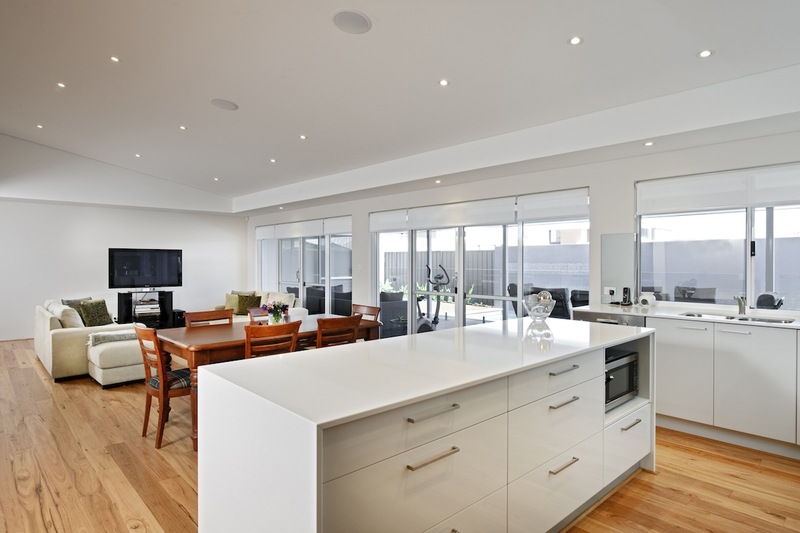 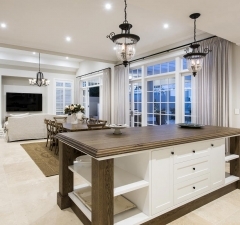 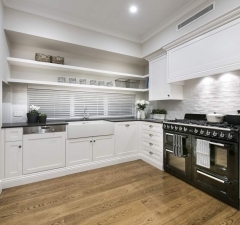 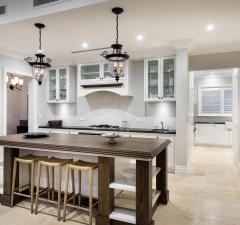 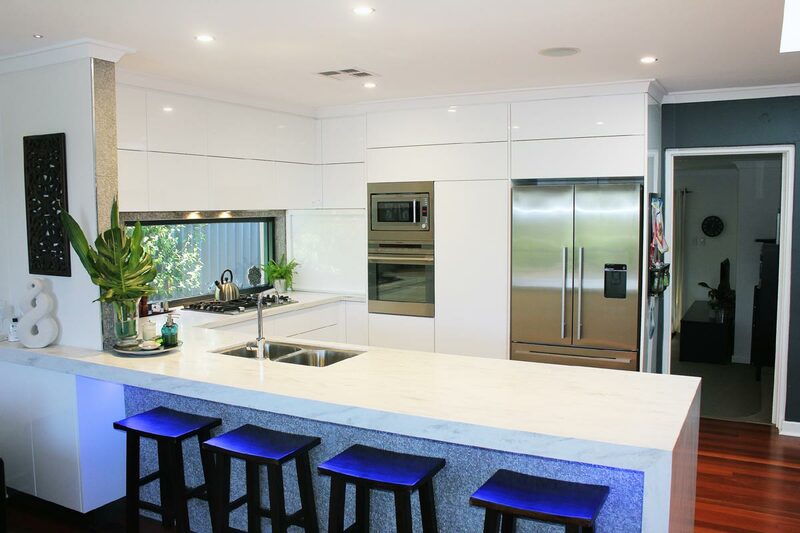 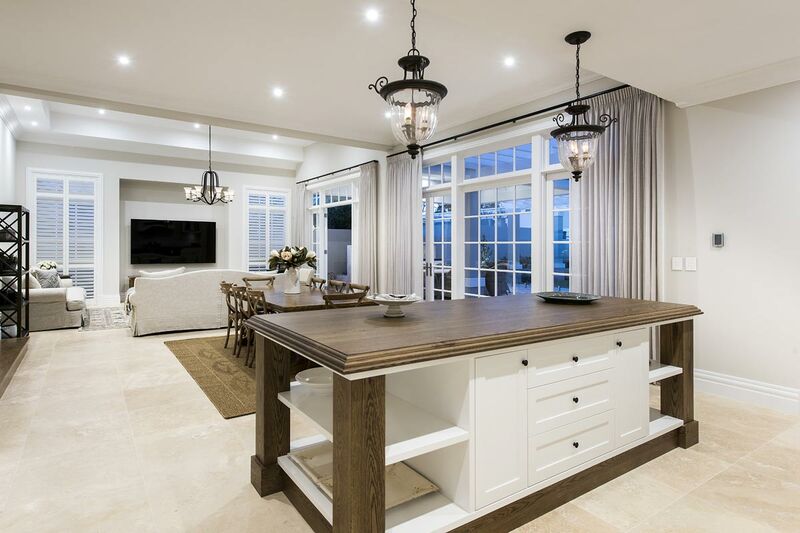 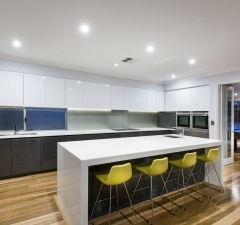 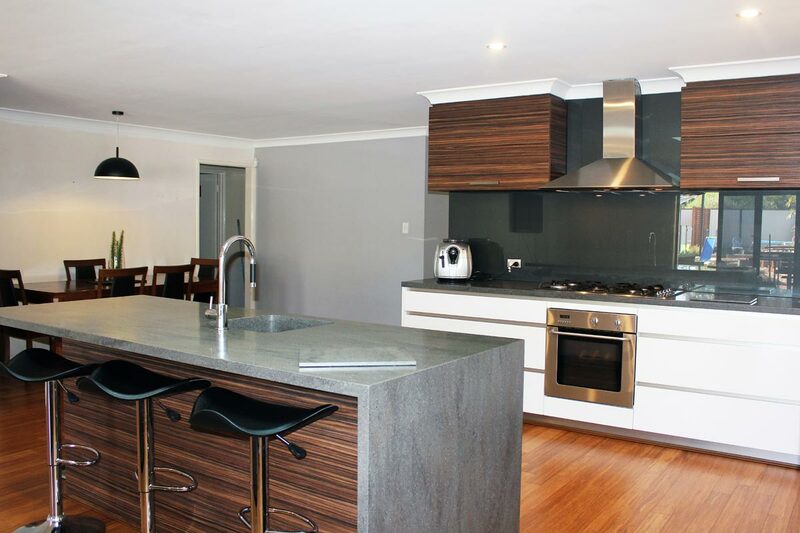 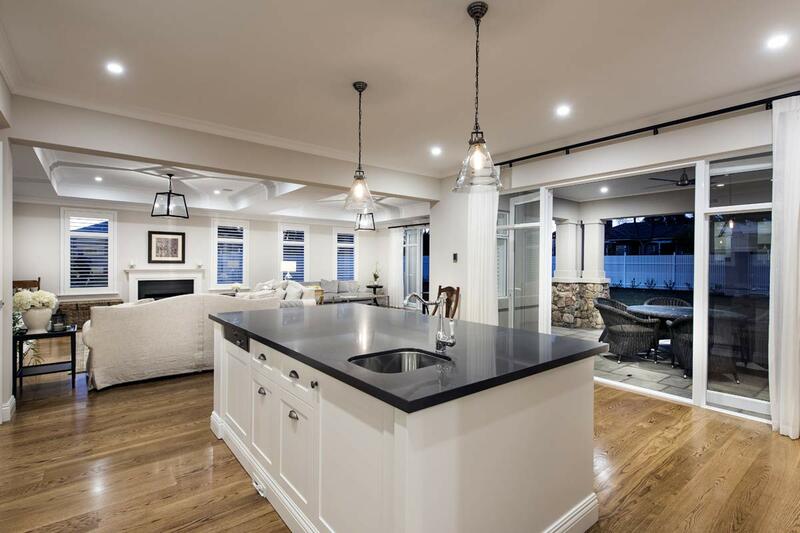 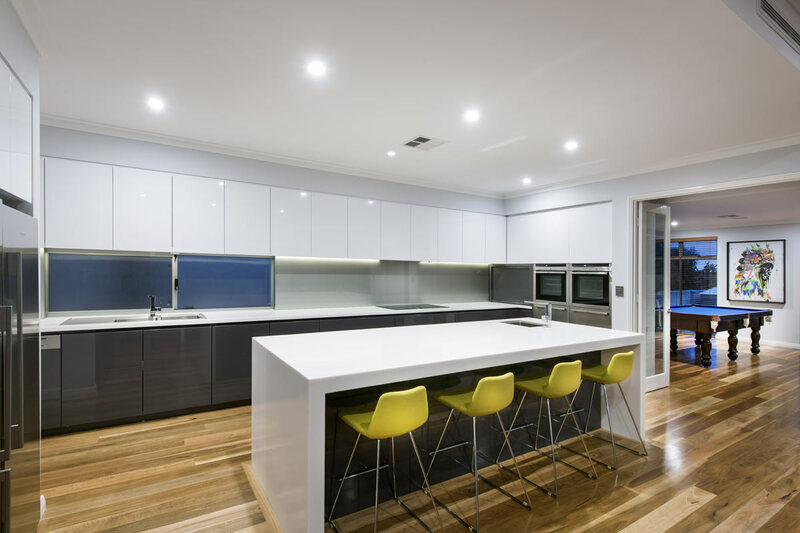 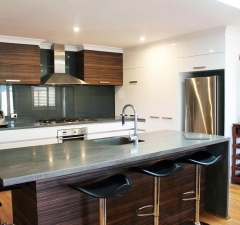 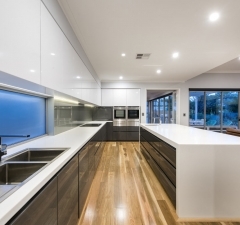 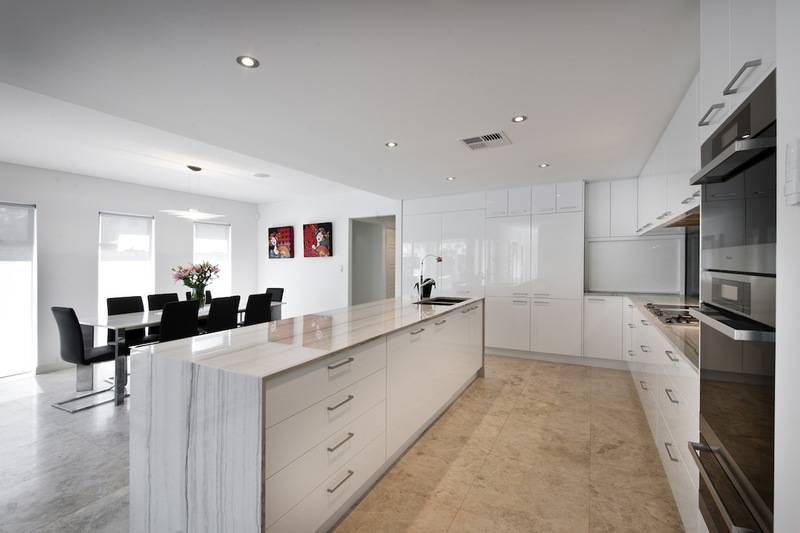 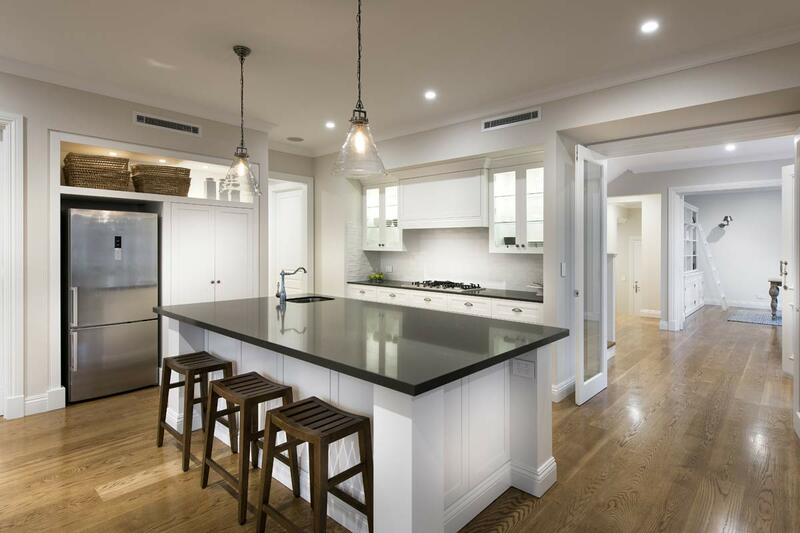 Our kitchen renovations package involves removal of existing kitchen, gyprocking, electrical work, plumbing, stone masonry, carpentry, tiling and related trade work, depending on your exact requirements. 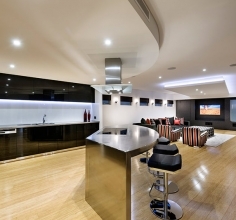 You’ll deal with one main person right from start to end. 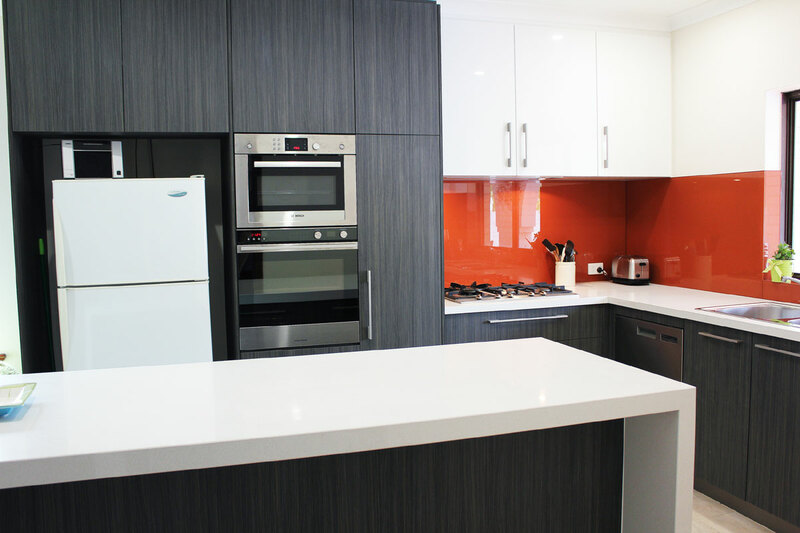 Our team will handle all the coordination with tradespeople for onsite work. 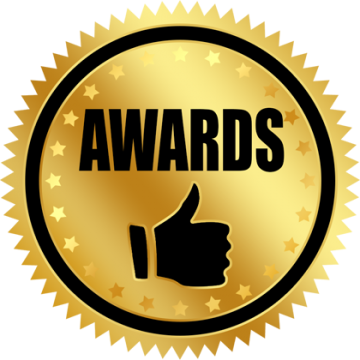 We’re well aware how problems can arise when there are multiple independent parties working on the same job, unaware of the bigger picture. 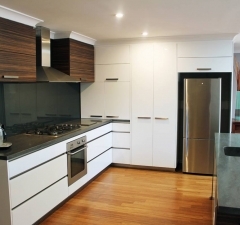 We’ll tie things up and ensure a smooth transition from your old kitchen into a new one. 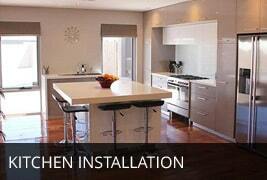 and kitchen installer. 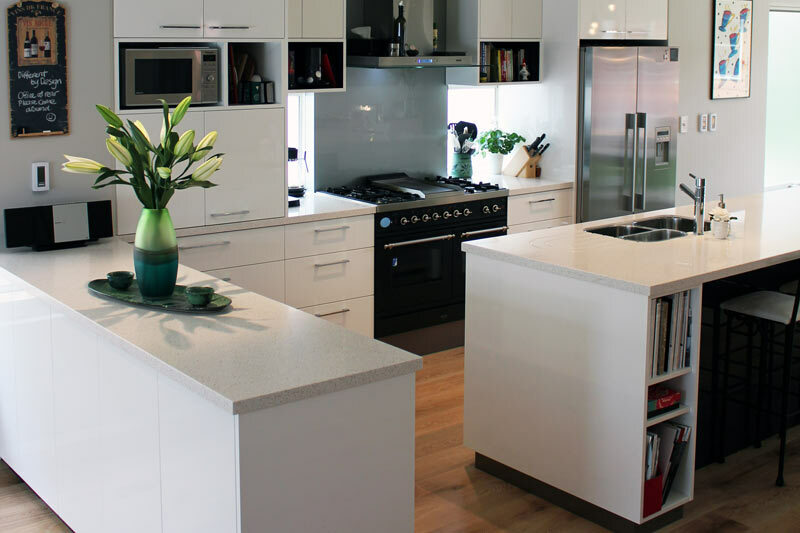 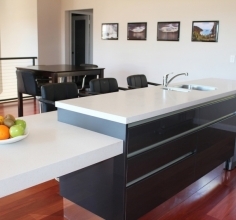 At Kitchen Professionals we believe in providing you with turnkey solutions and when it comes to installing your kitchen we will guarantee a flawless finish that is of the highest quality and craftsmanship. 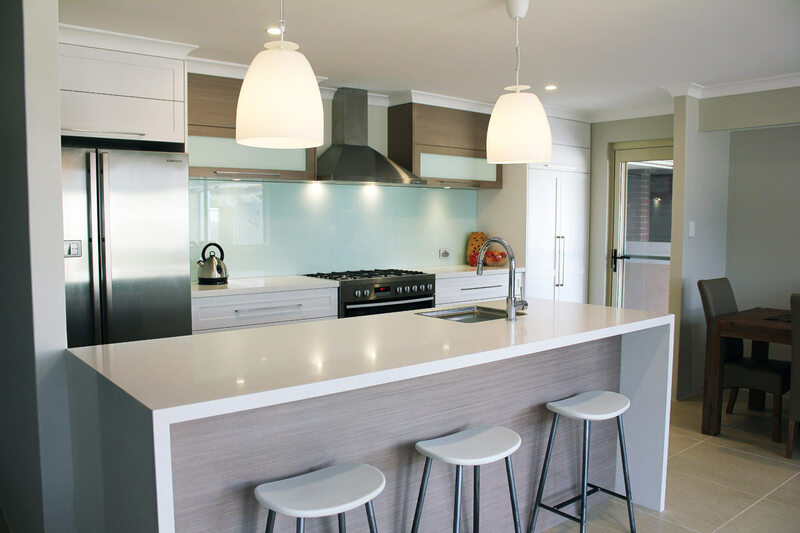 We design your kitchen, source its materials and install it completely, to hand over the finished product to you, in the required time frame. 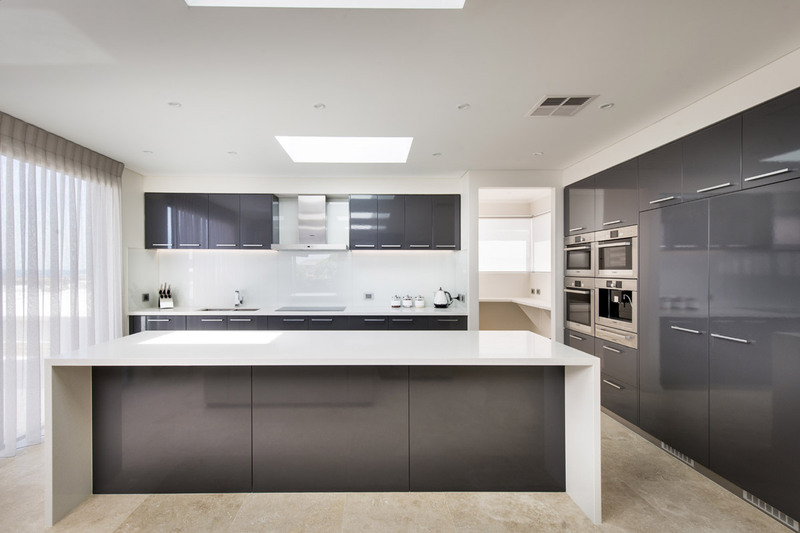 Considering the number of things that go into the creation of a well-designed and perfectly functioning kitchen, the whole task can appear very daunting. 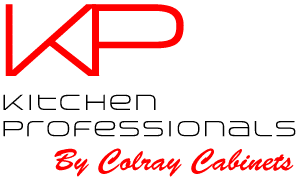 Allow us at Kitchen Professionals to ease things up for you! 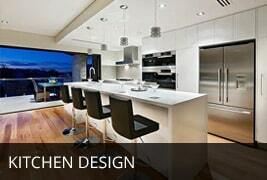 We’ll understand your likes, dislikes, needs, kind of cooking you do etc. 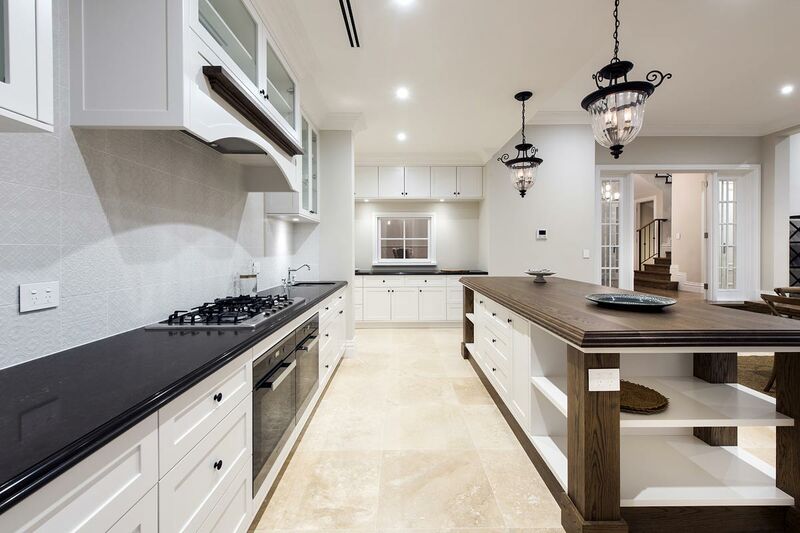 Then we’ll remove all uncertainty and stress from the kitchen designing process, so you can envision your future kitchen clearly. 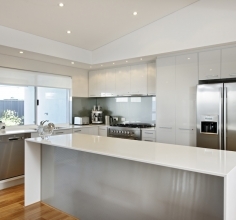 Acting as your partner, we’ll enlighten you to a wide array of possibilities, which would never occur to you otherwise. 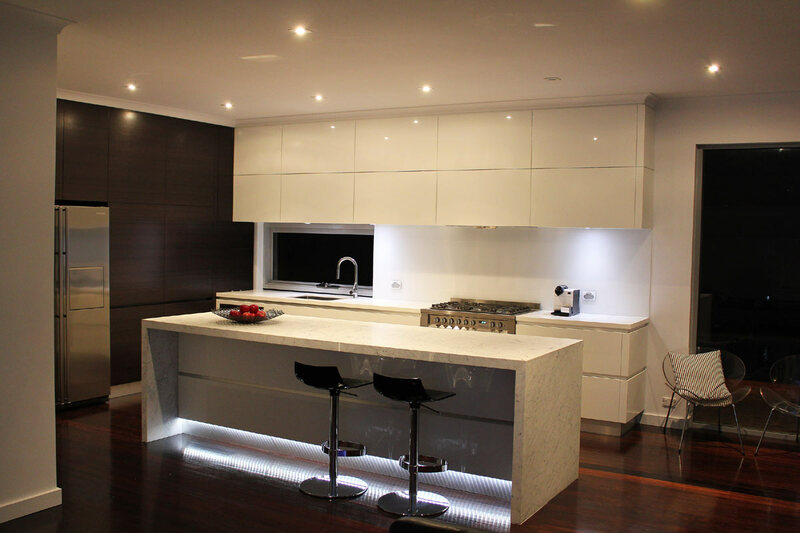 You just need to pick what you want and leave the technical details to us. 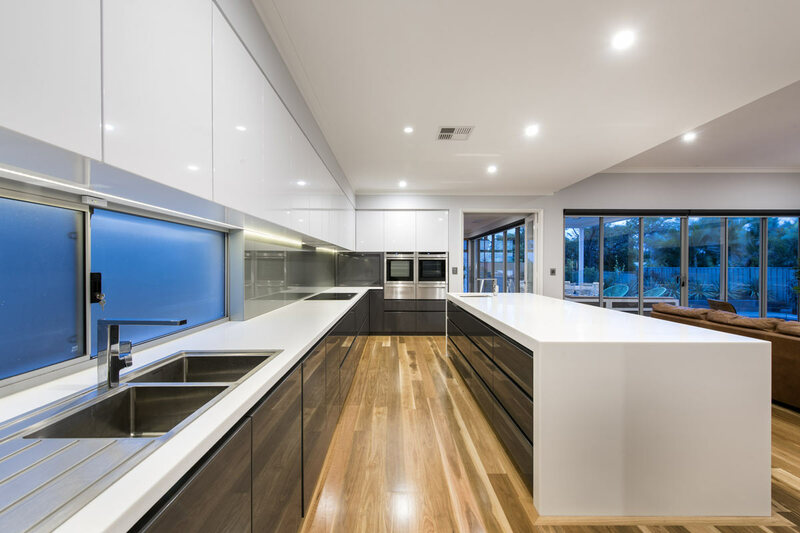 We know how overwhelming it can get when you see countless kitchen styles, colours, plans, door styles, finishes, hardware options, installation possibilities, measurements etc. 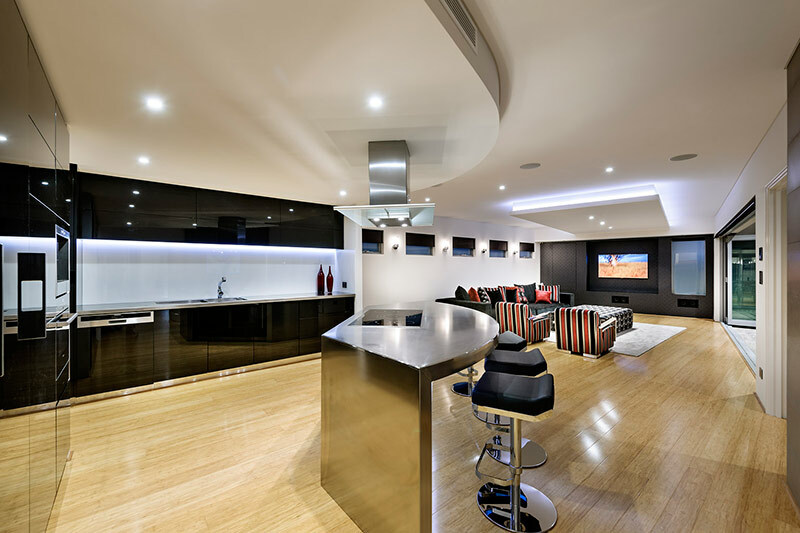 in front of you. 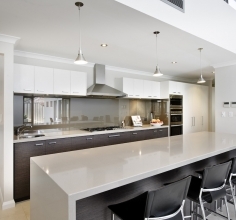 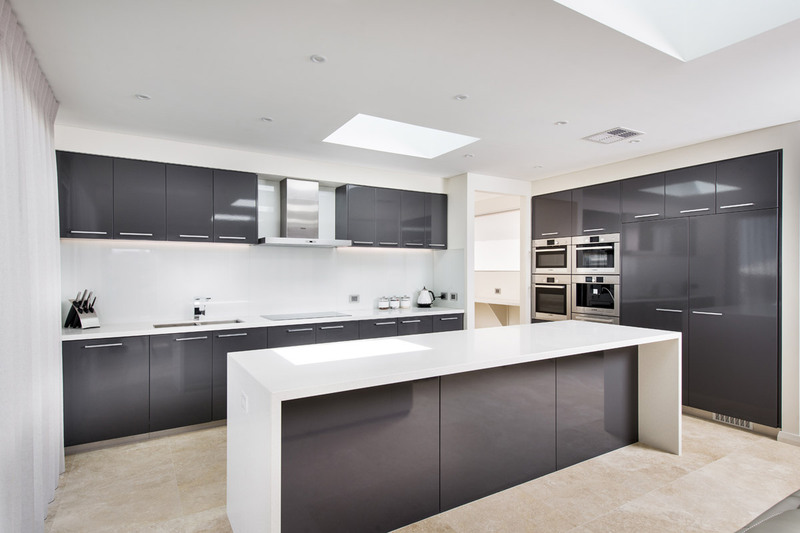 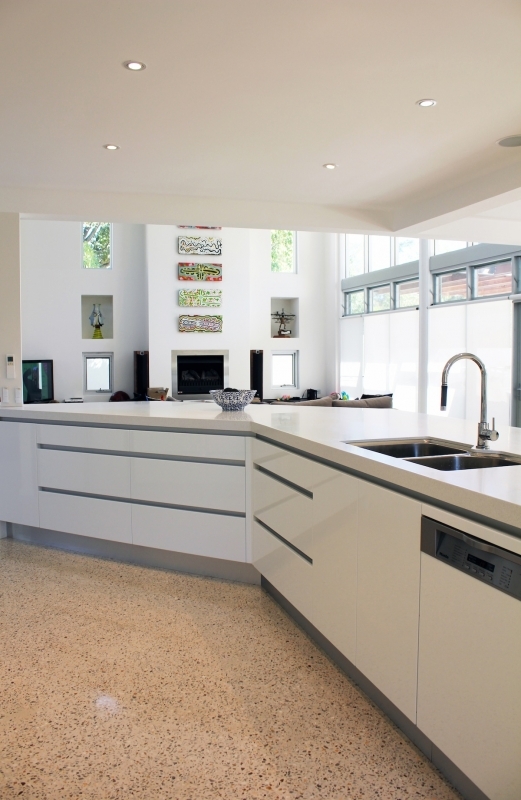 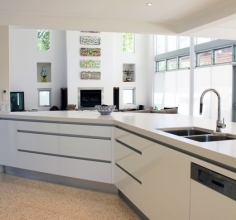 Why not rely on the services of seasoned kitchen designing professionals like us? 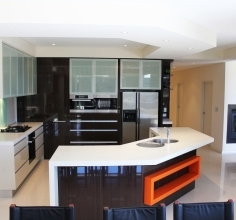 We will walk you through the process and educate you on what will and will not work in your kitchen.